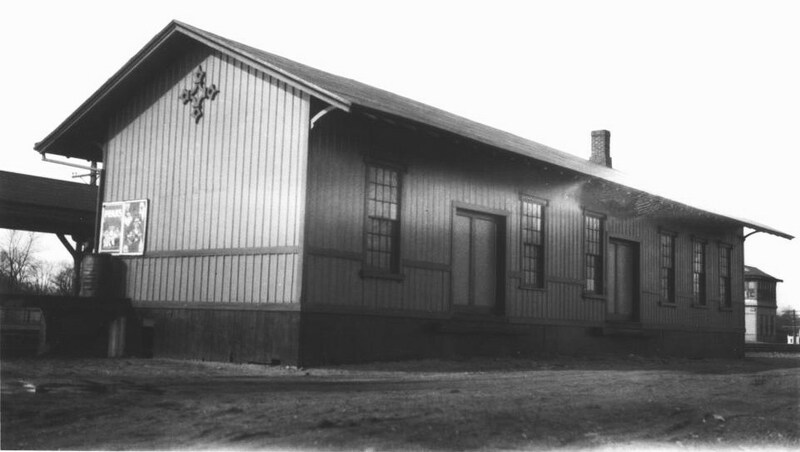 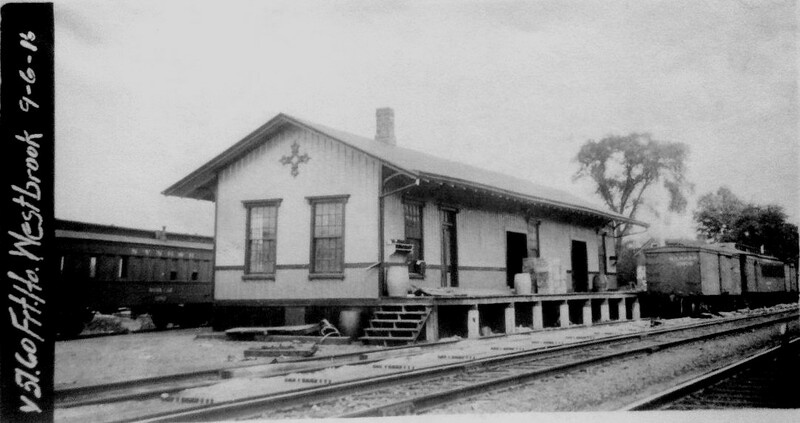 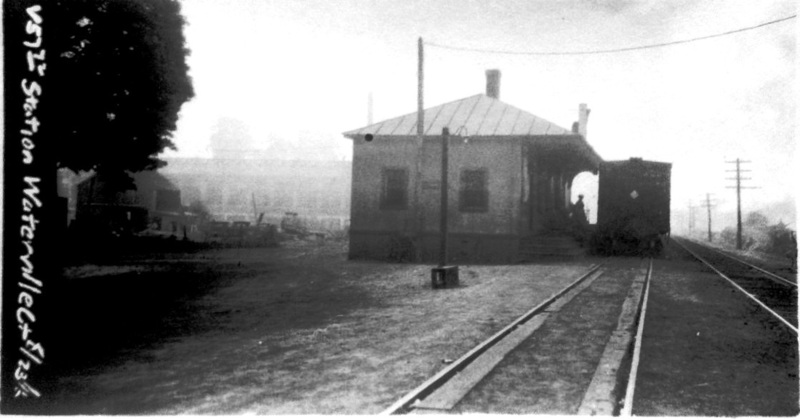 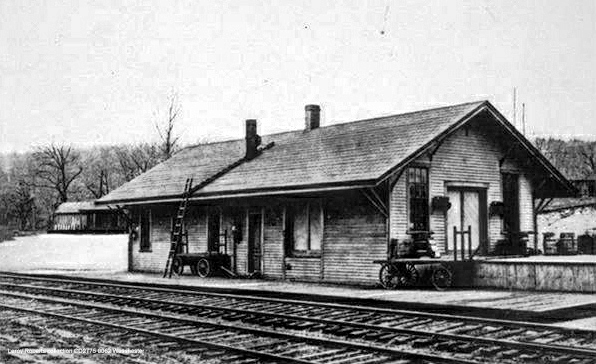 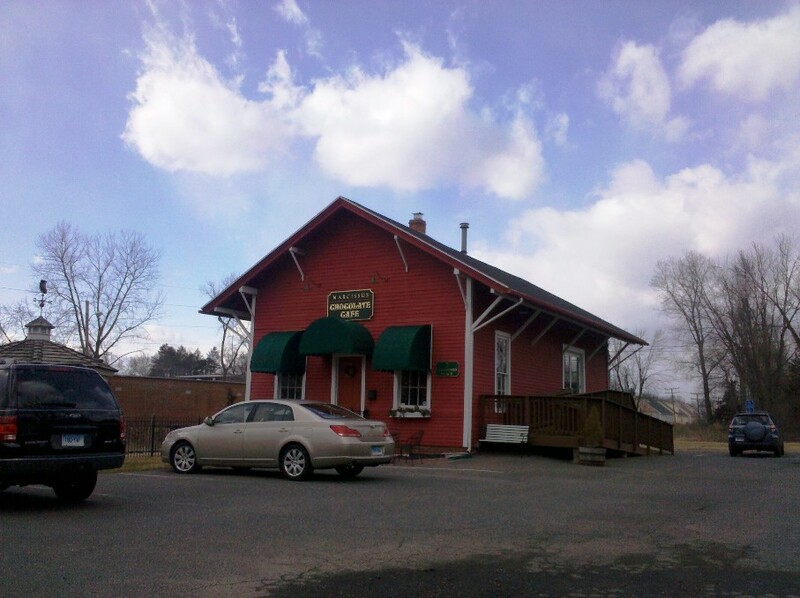 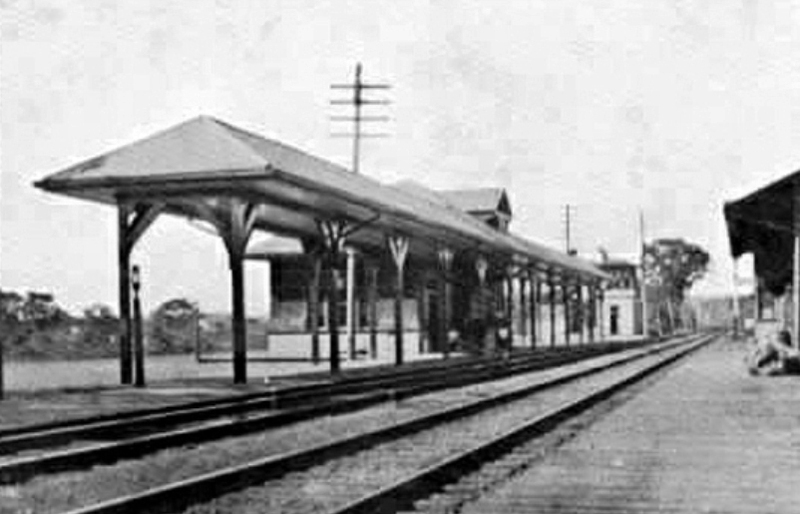 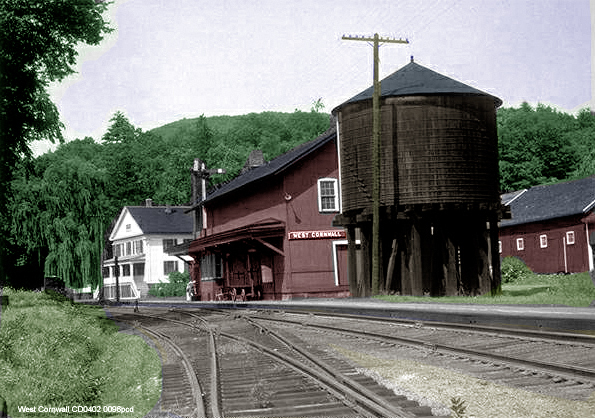 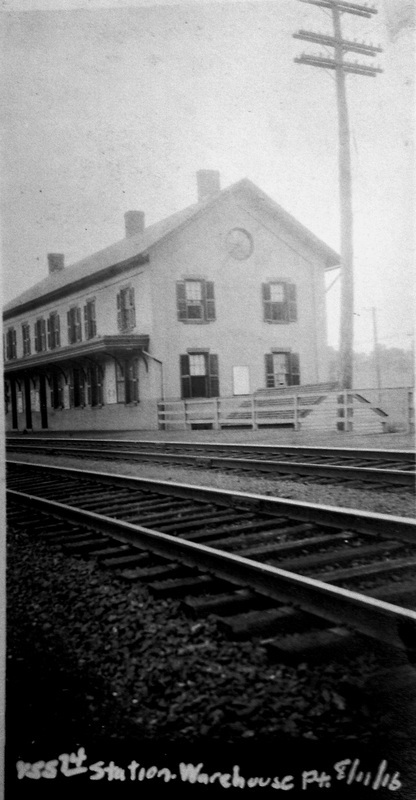 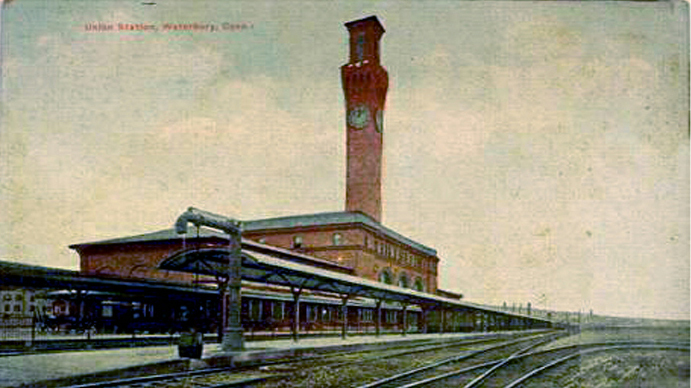 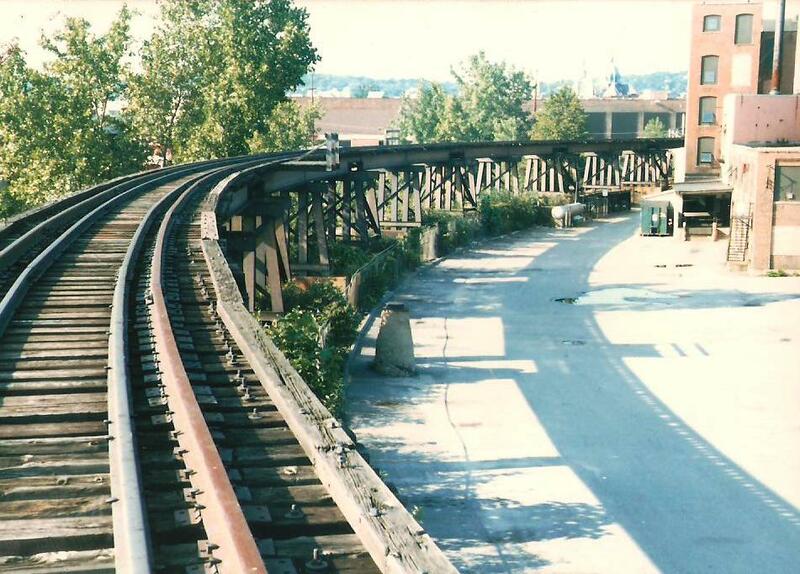 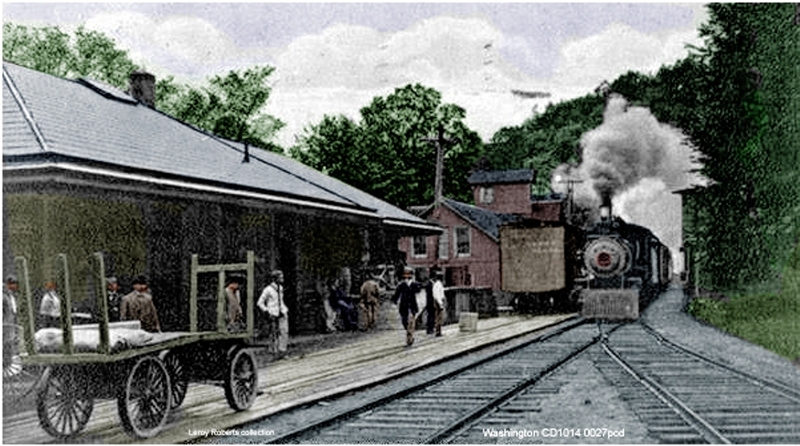 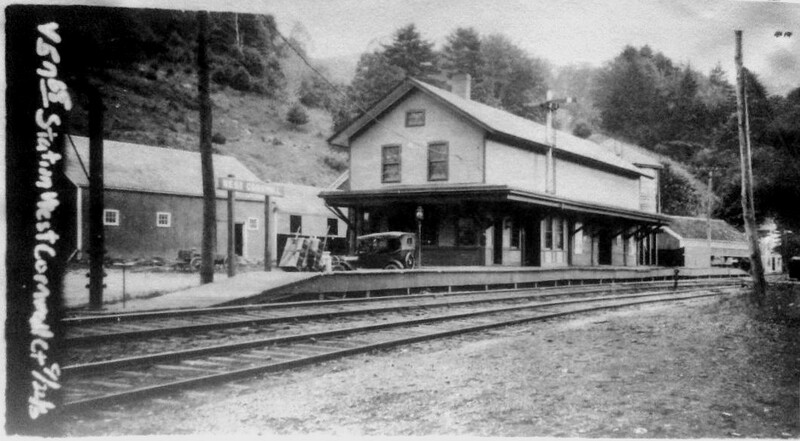 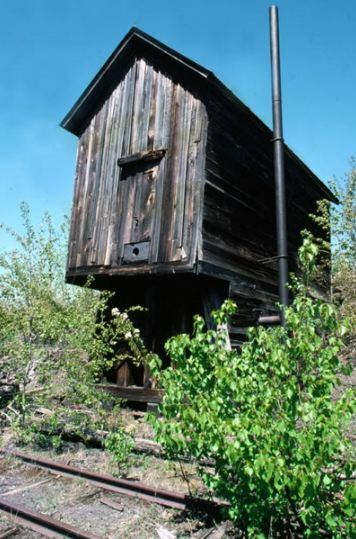 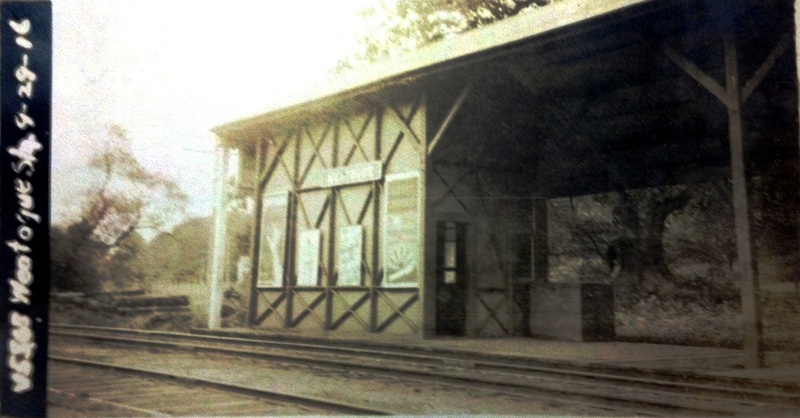 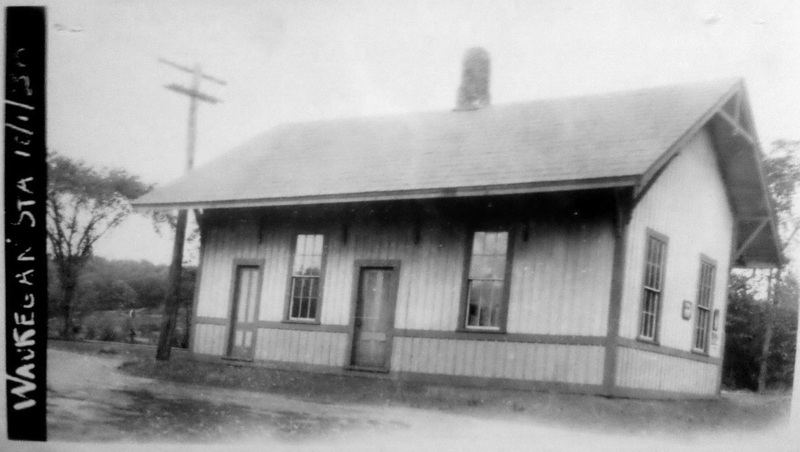 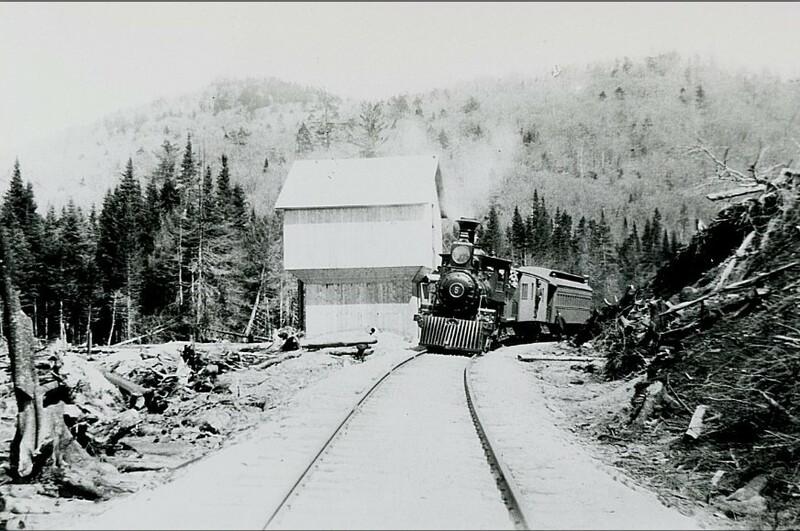 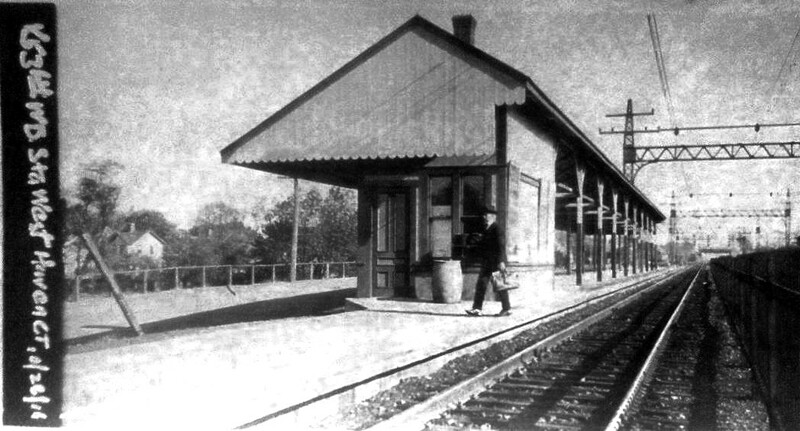 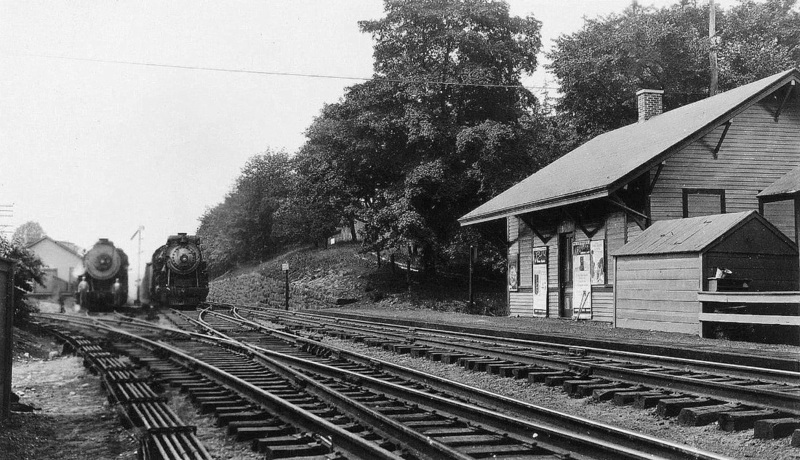 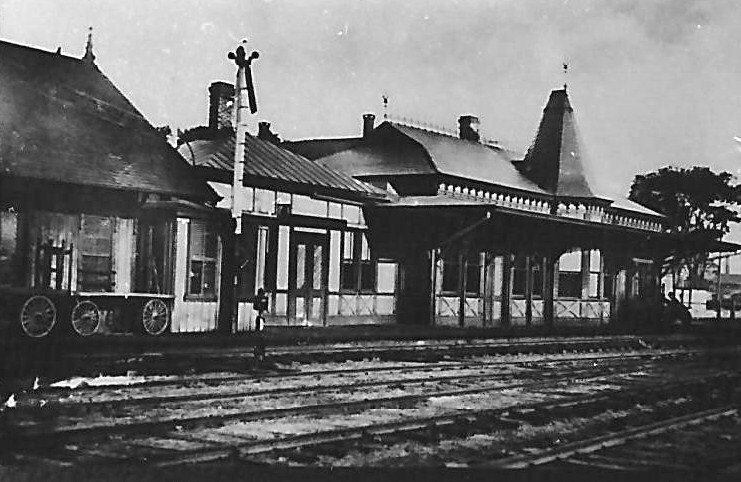 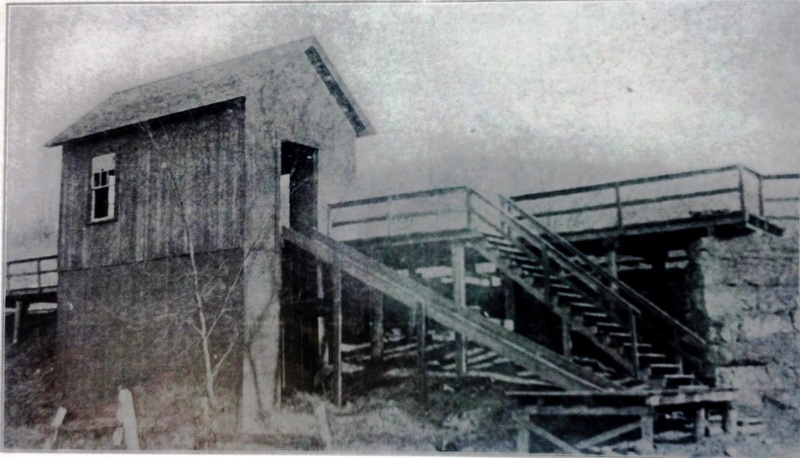 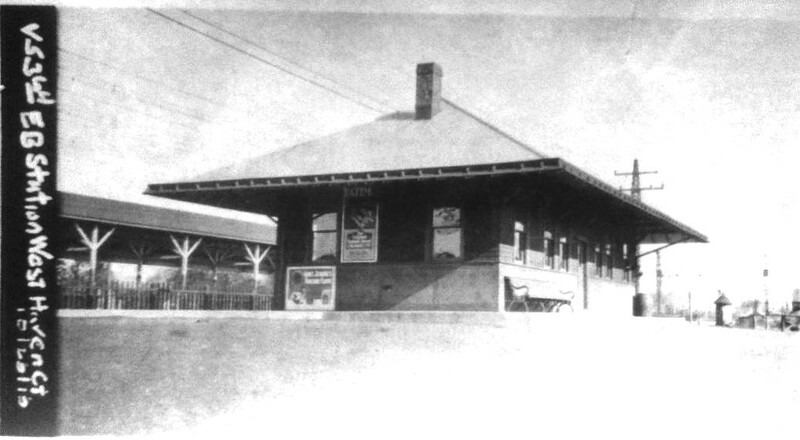 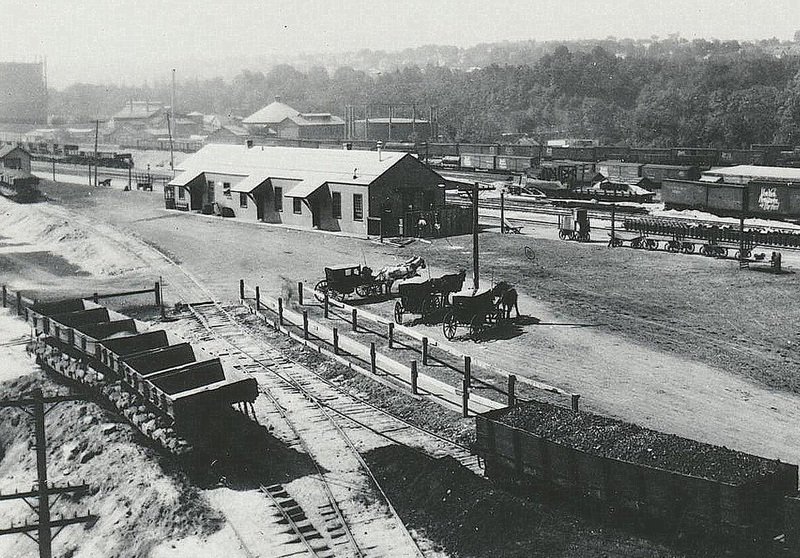 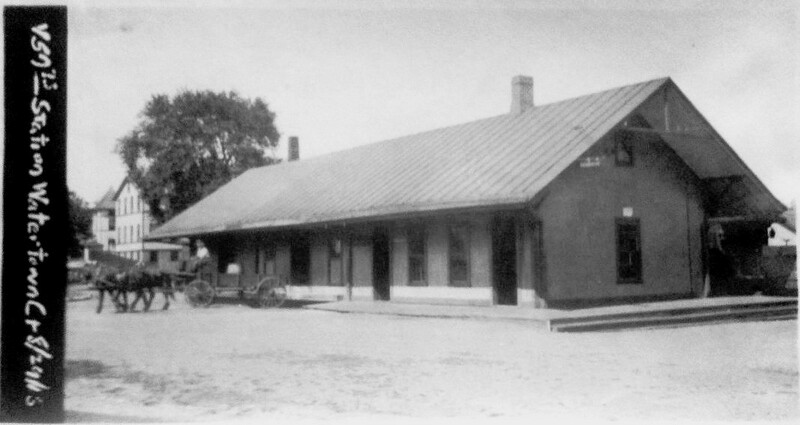 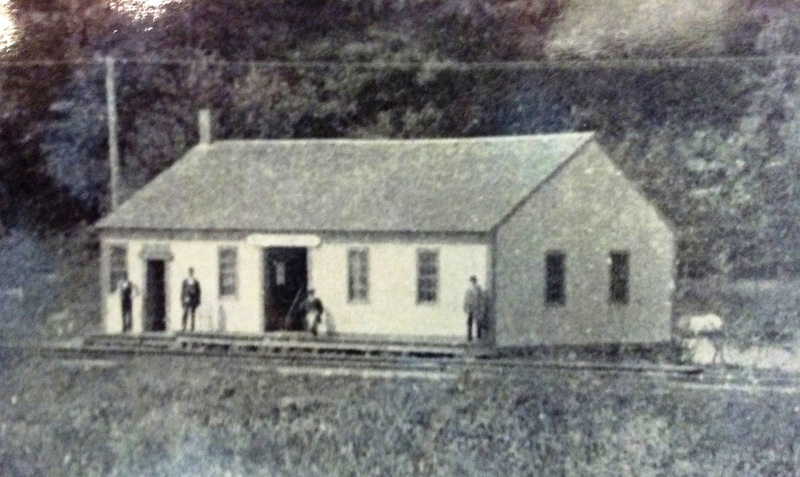 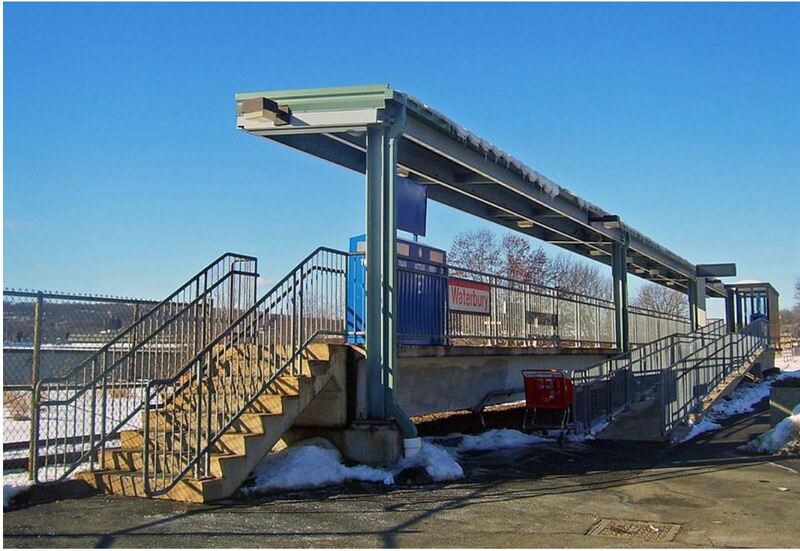 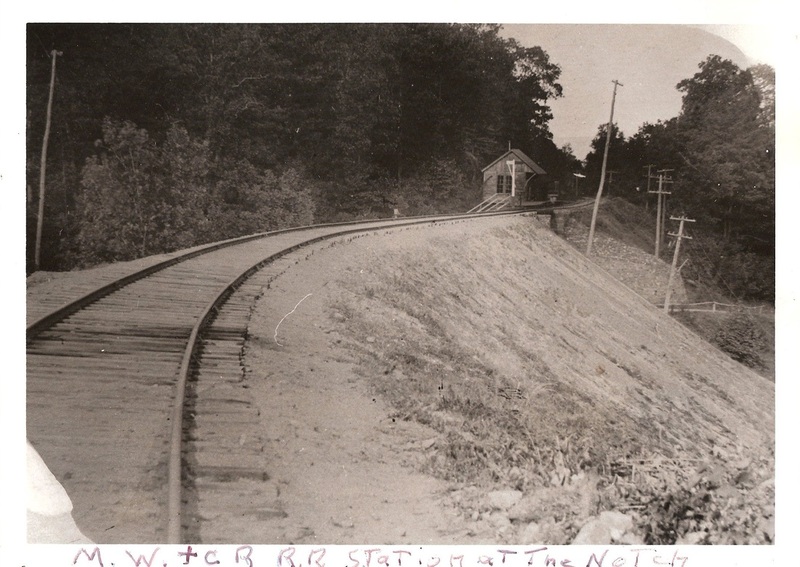 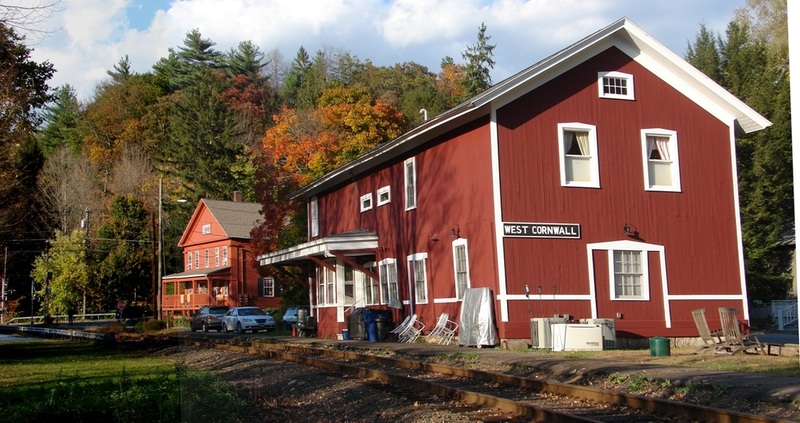 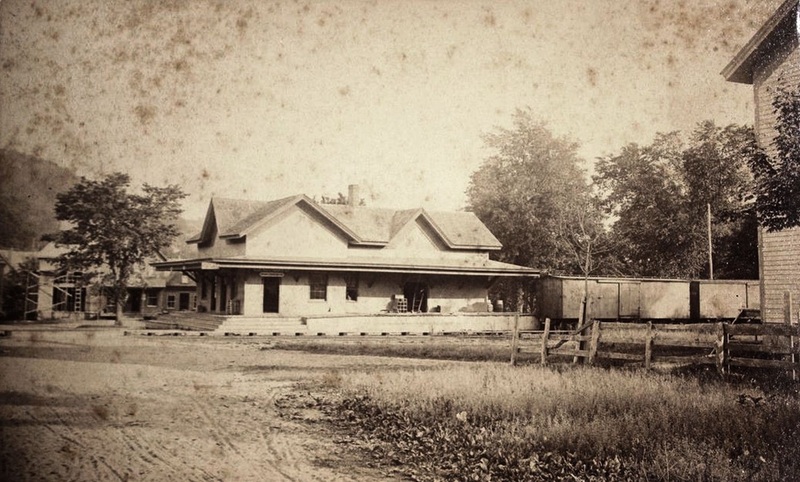 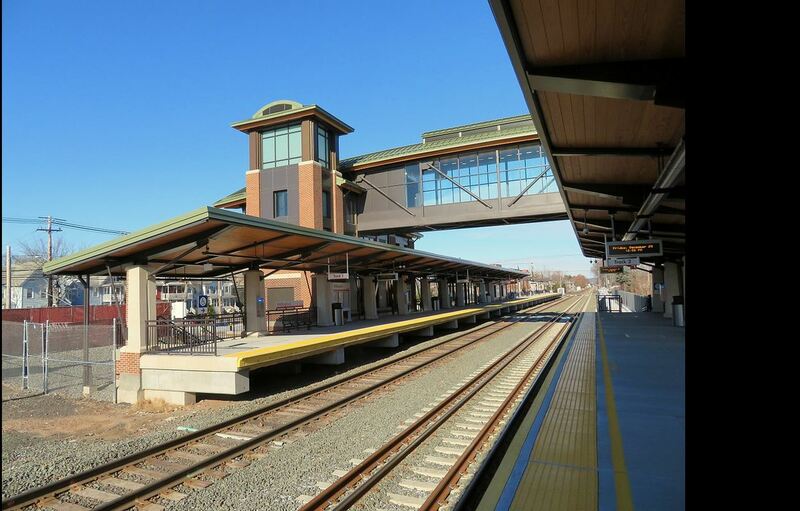 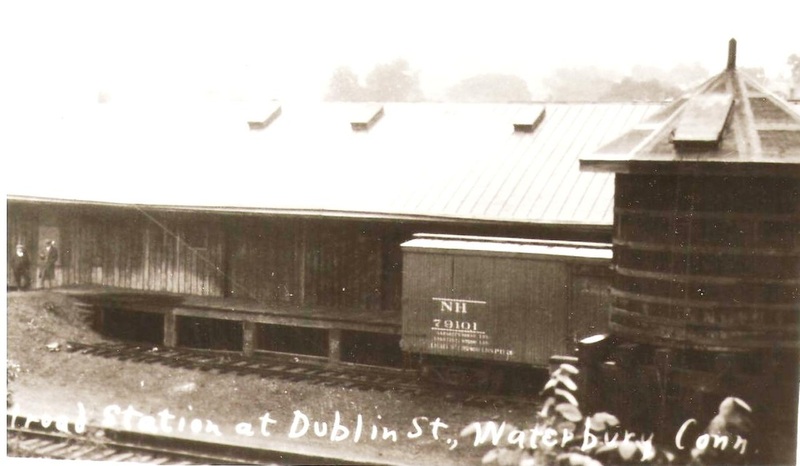 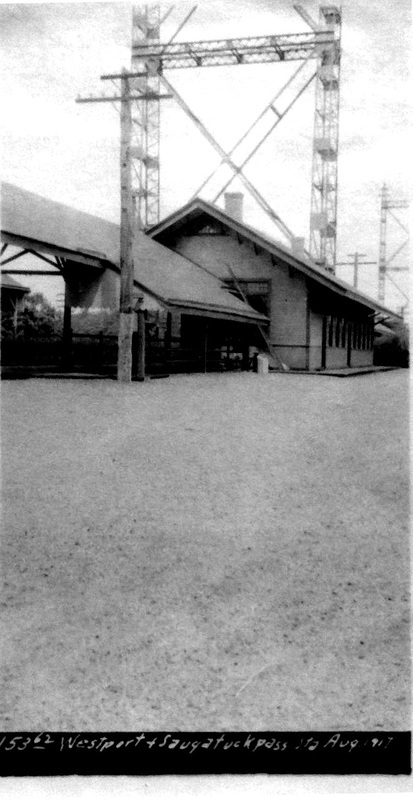 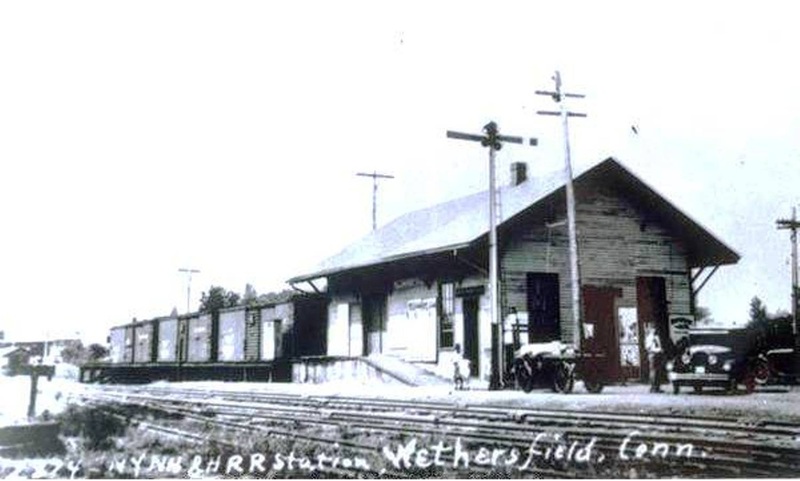 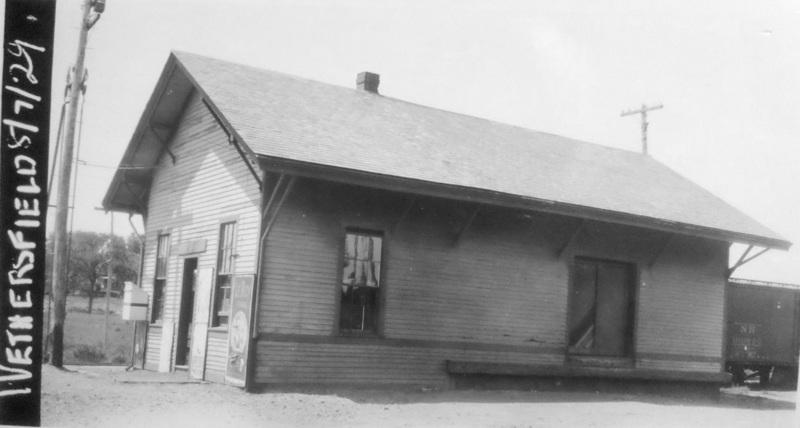 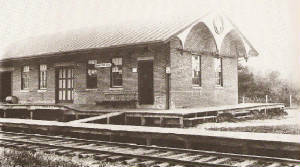 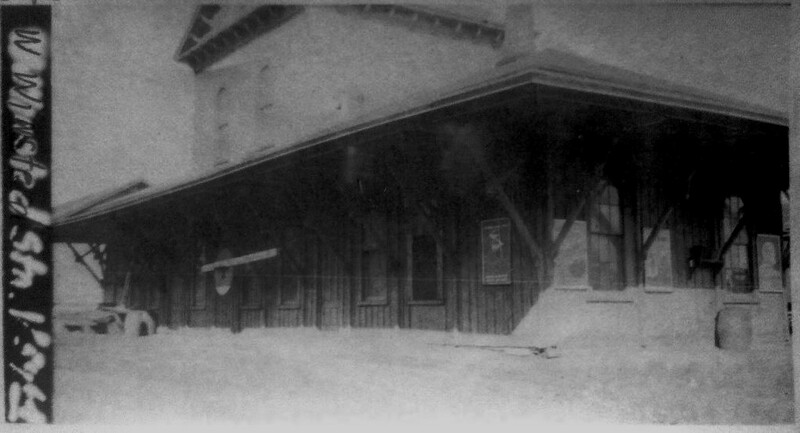 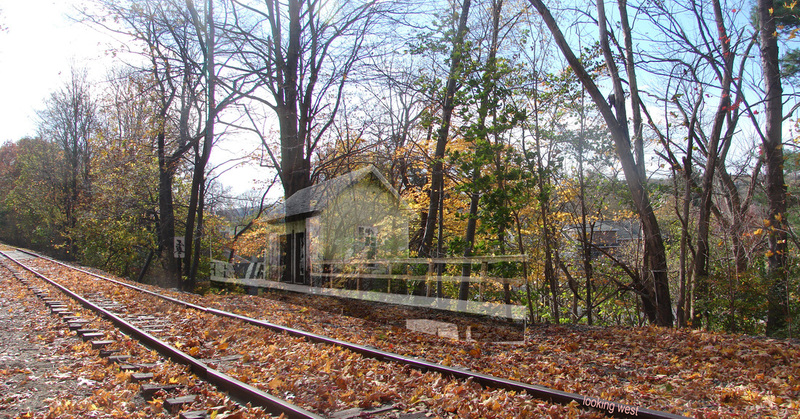 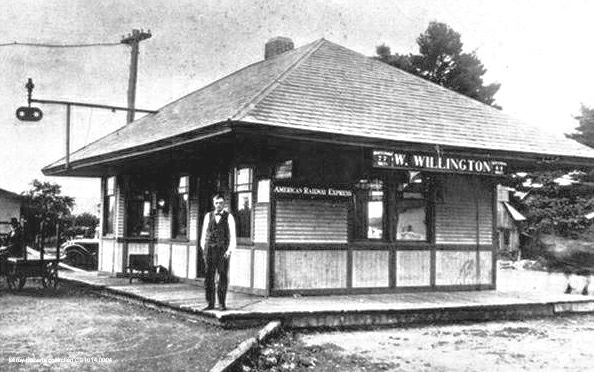 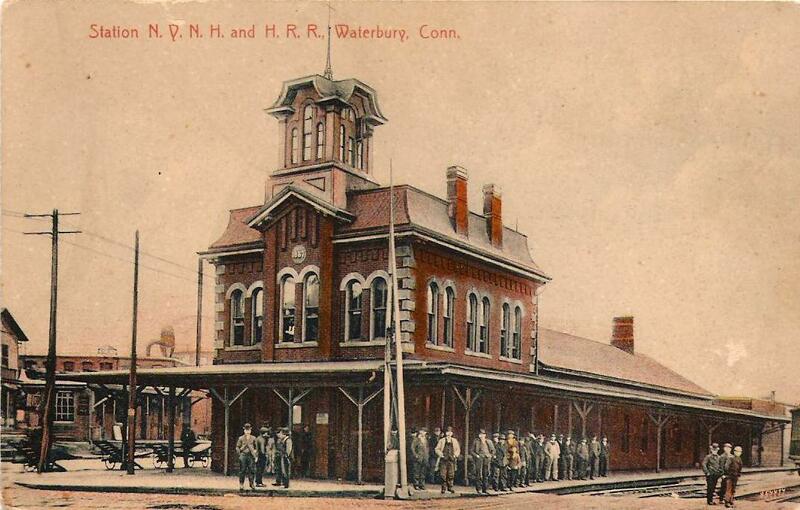 This station was built in 1895 by the NYNH&H. 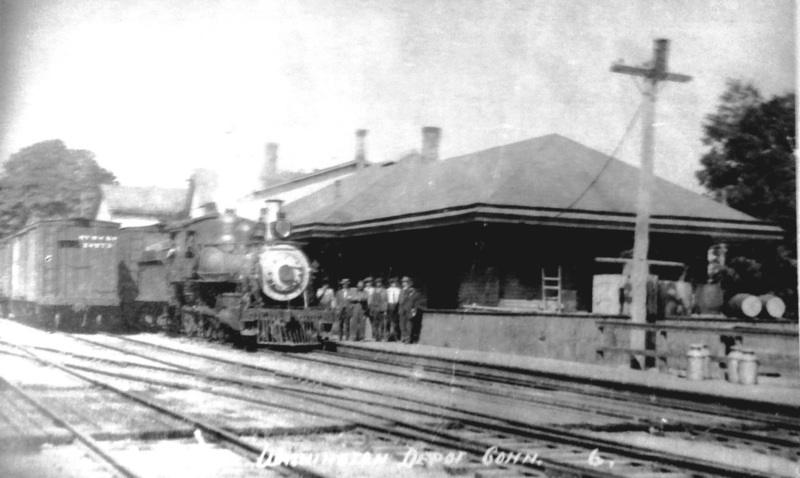 Is there anything better than a good depot shot with some great locomotives as a bonus? 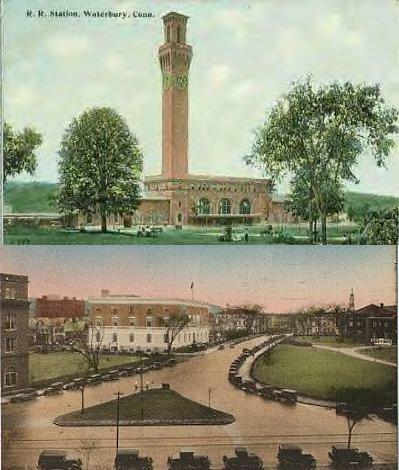 Such is the case with the lower right photo. 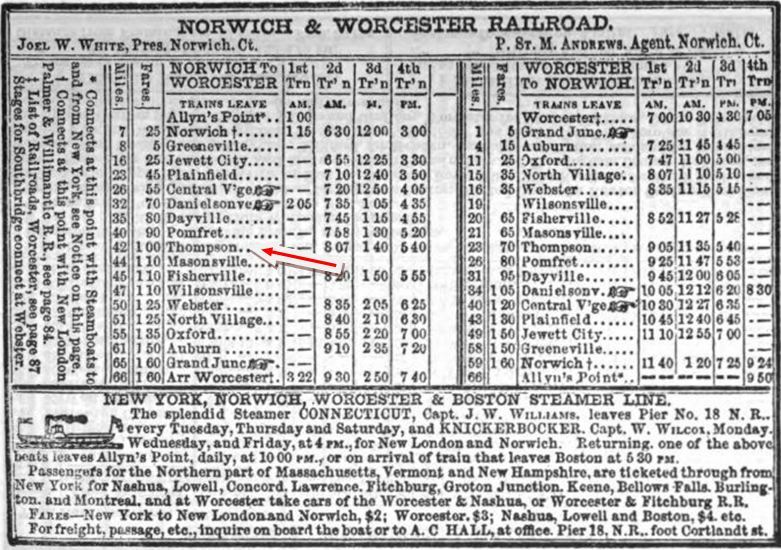 Someone better versed than we are perhaps can better describe what is going on but it looks like the train on the eastbound track has priority over the one "in the hole." 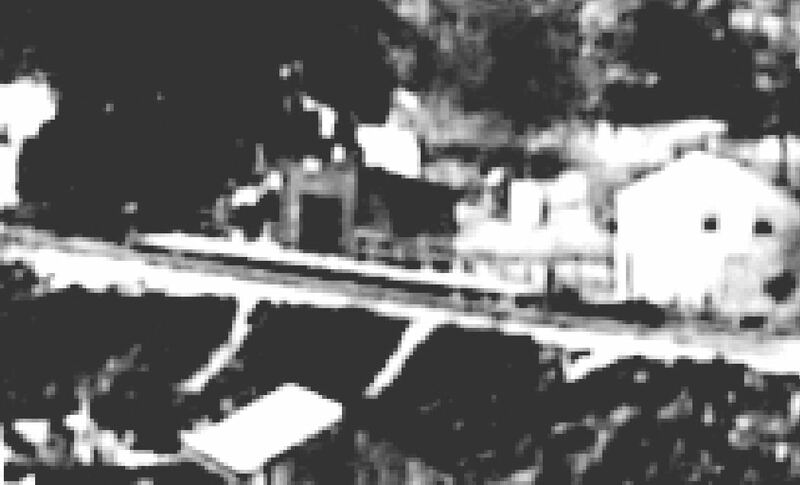 Tower 110, just behind the photographer, is undoubtedly monitoring these movements. 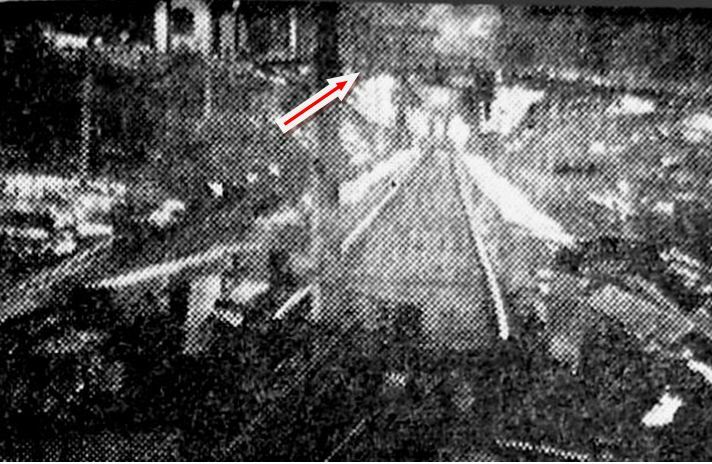 The two crew members standing on the front of the latter engine look eerily like figureheads on the sailing ships of old. 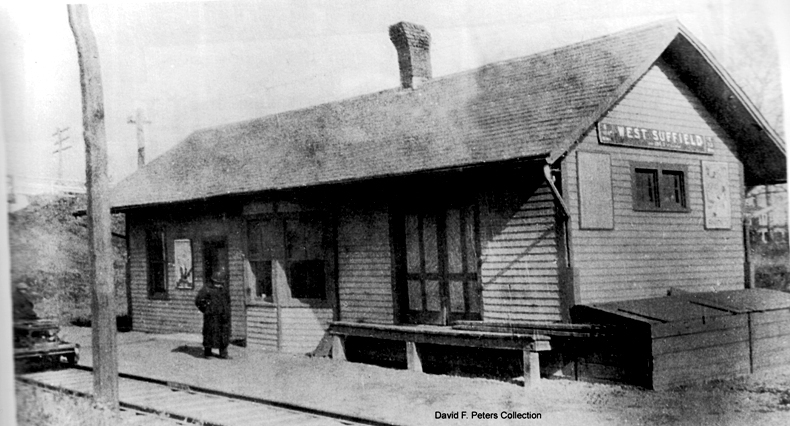 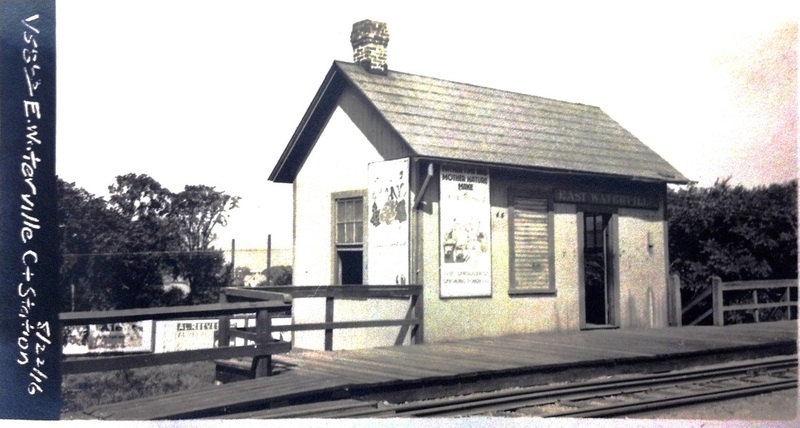 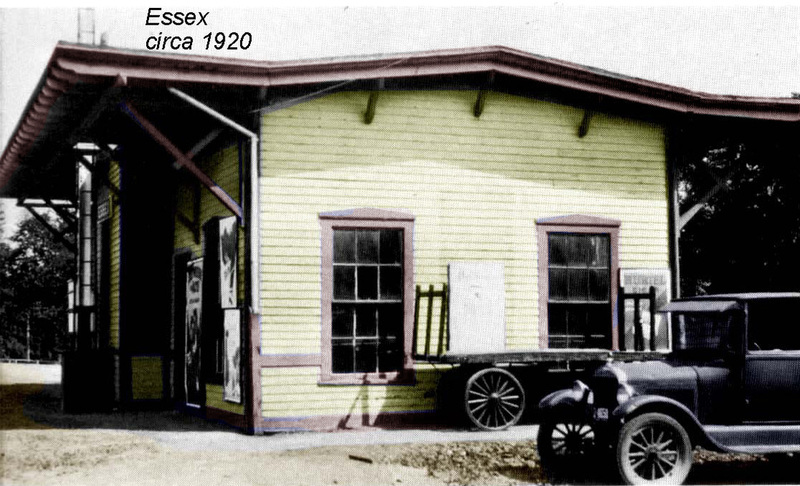 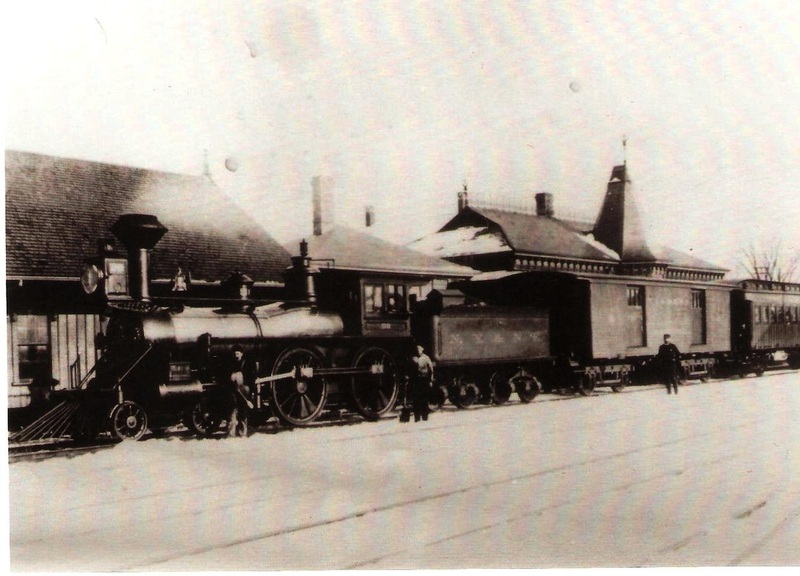 This station in the town of COLCHESTER was established by the NHM&W when it opened in 1873. 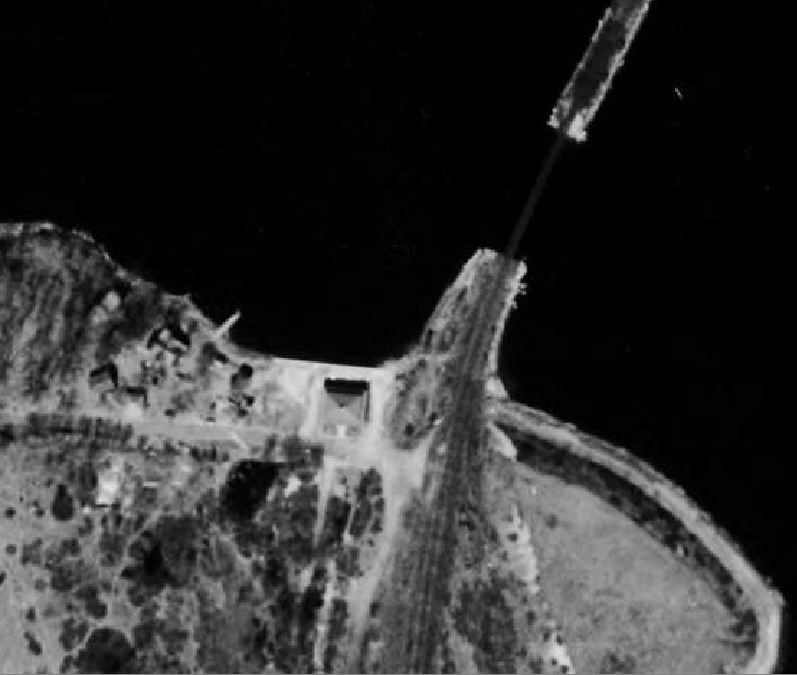 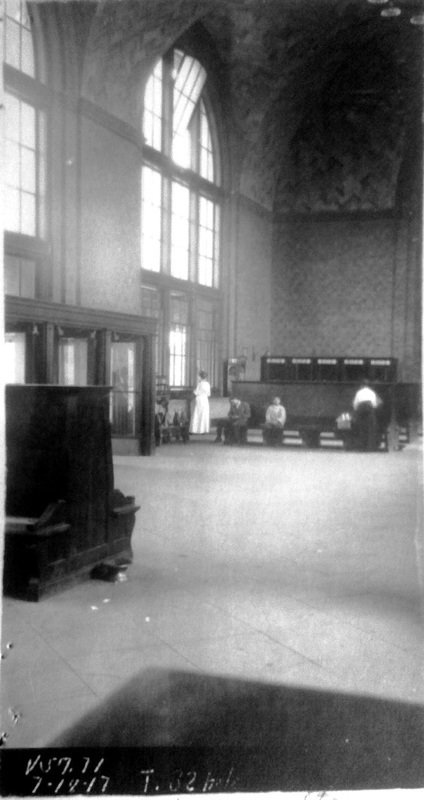 We have no photos yet of the first station. 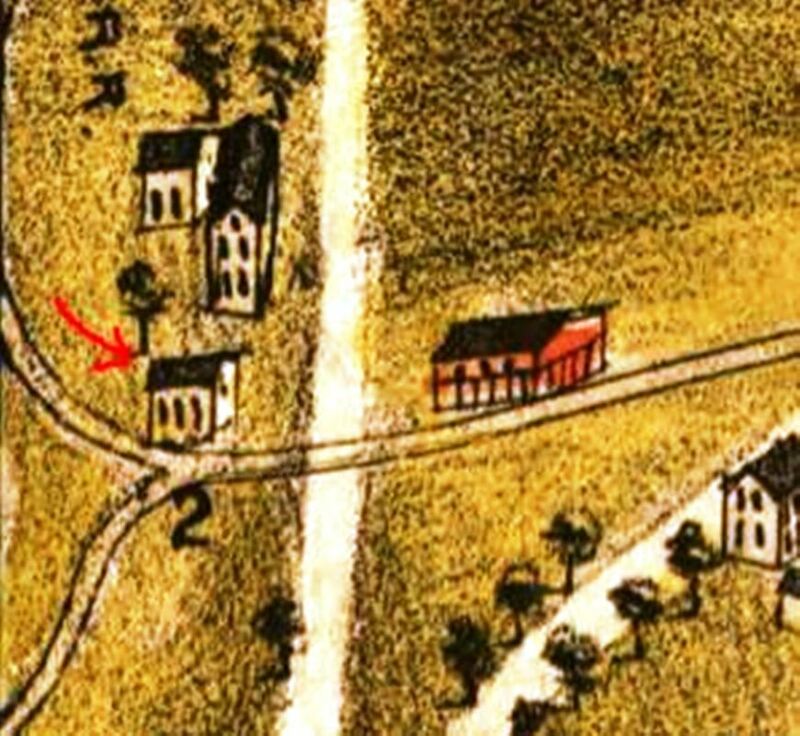 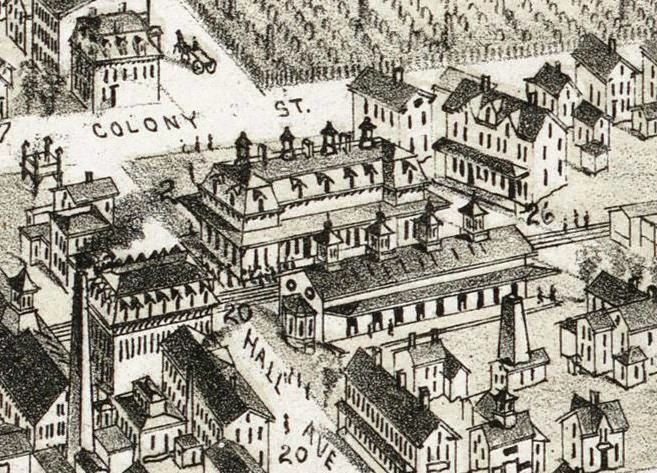 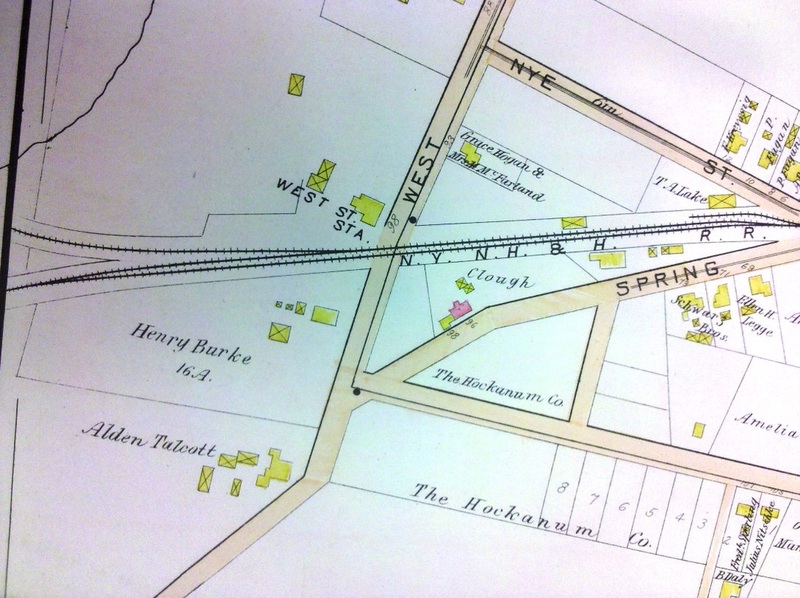 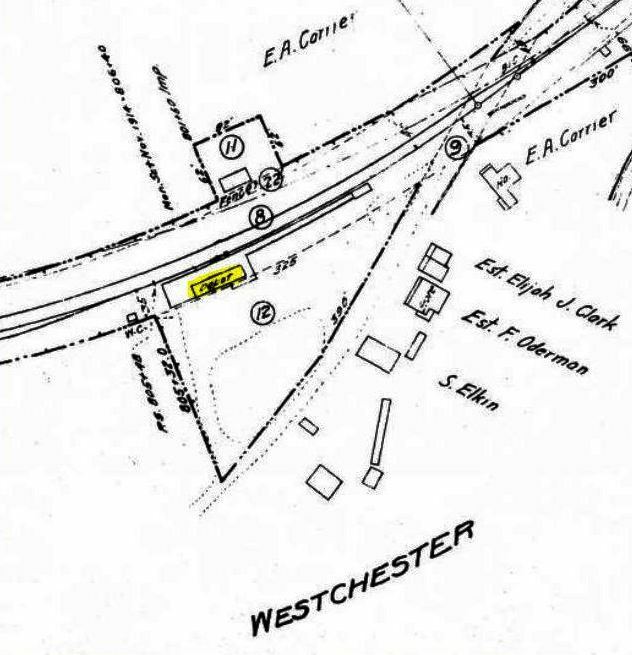 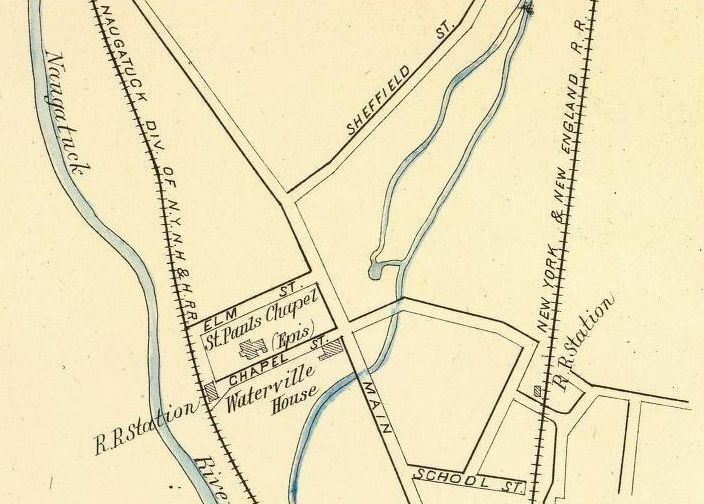 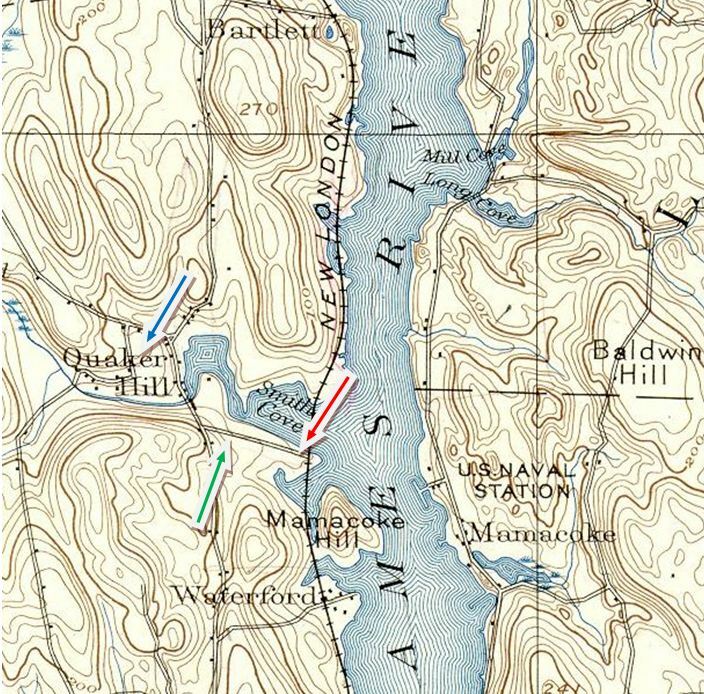 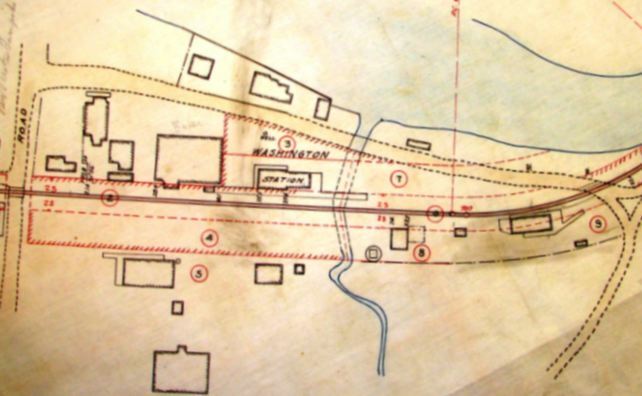 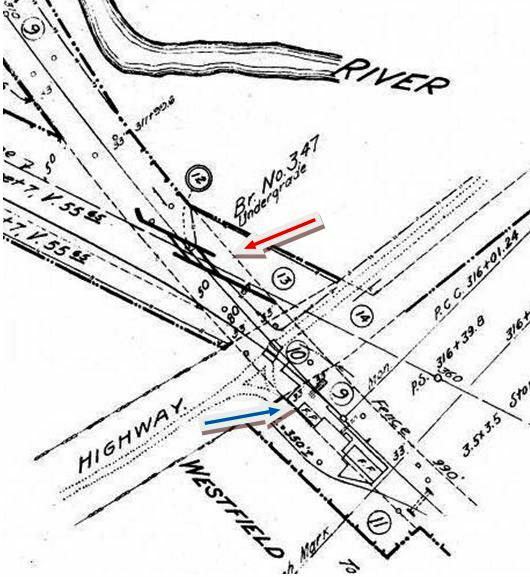 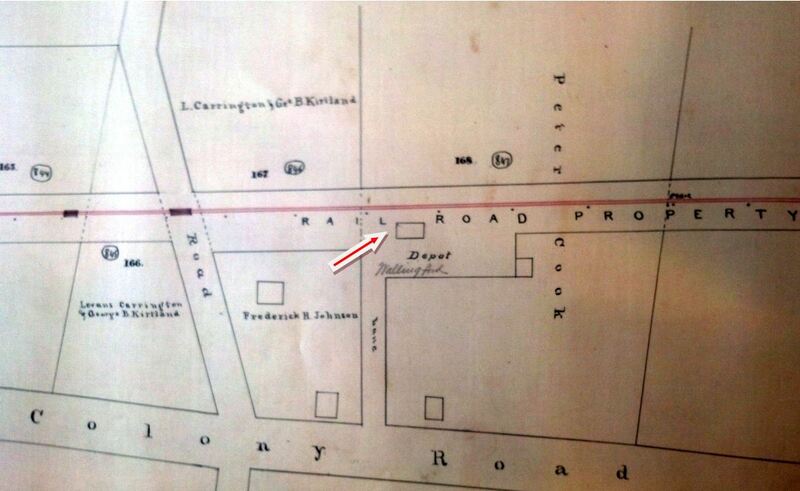 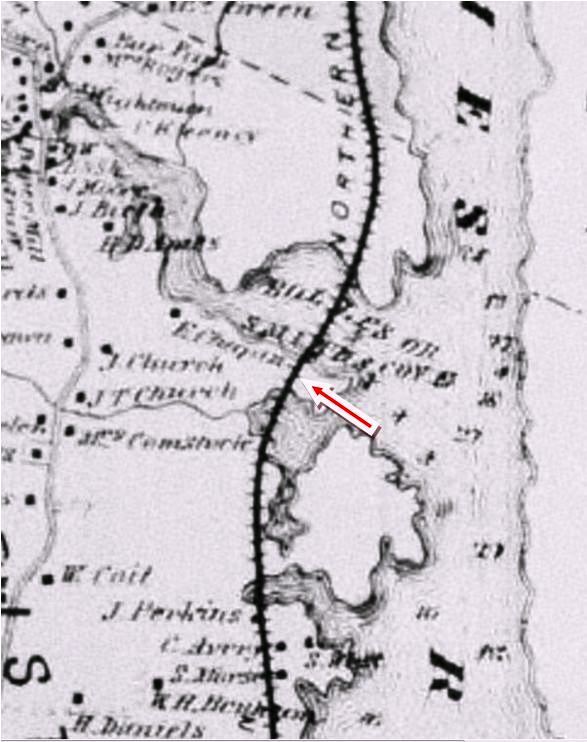 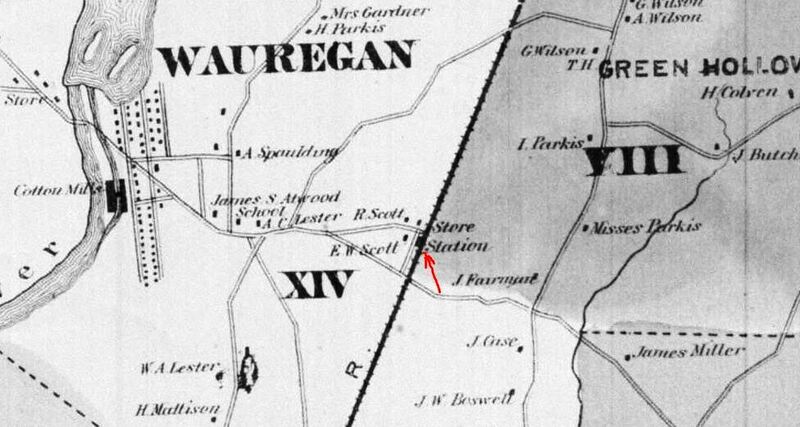 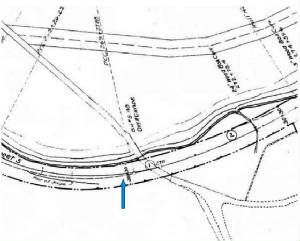 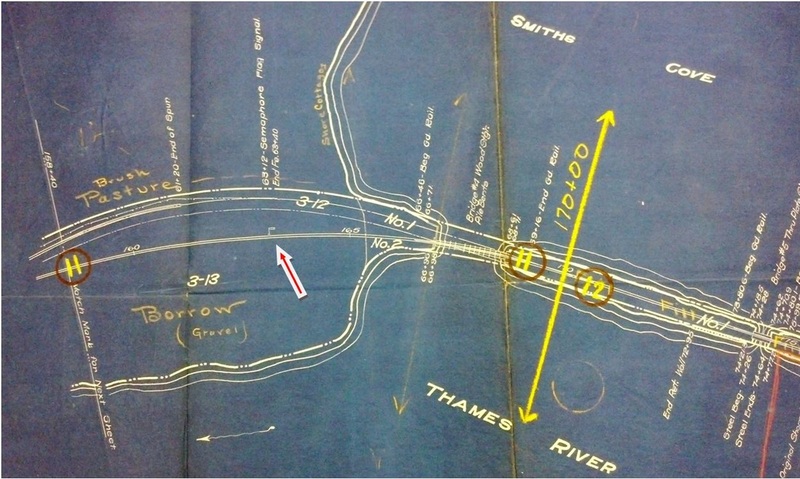 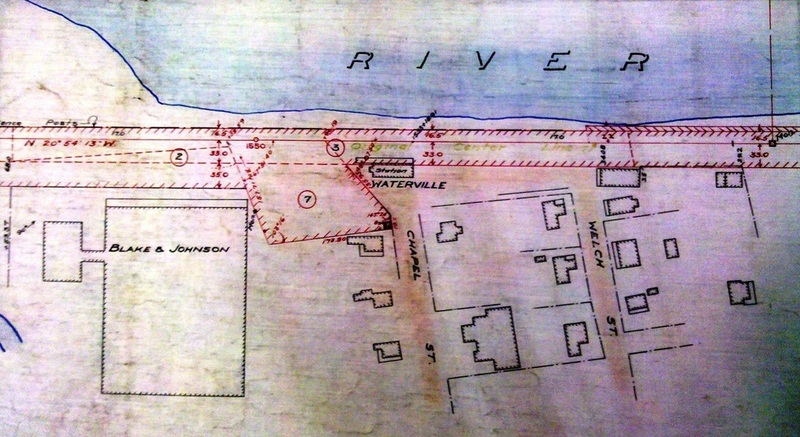 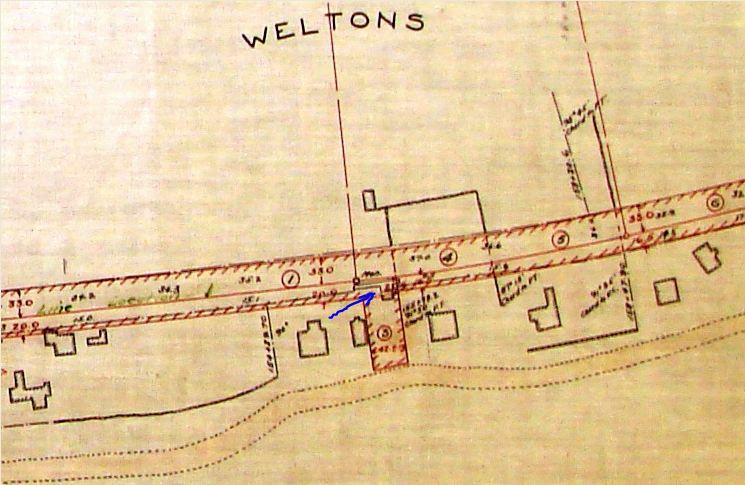 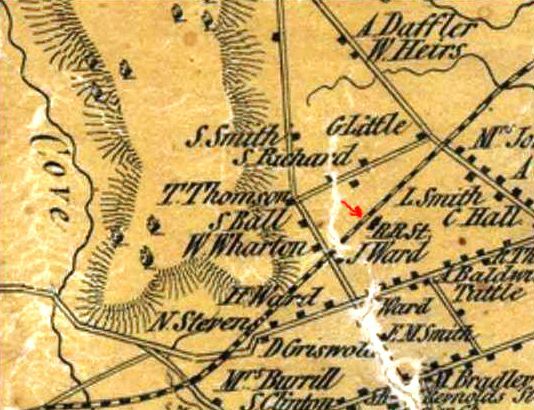 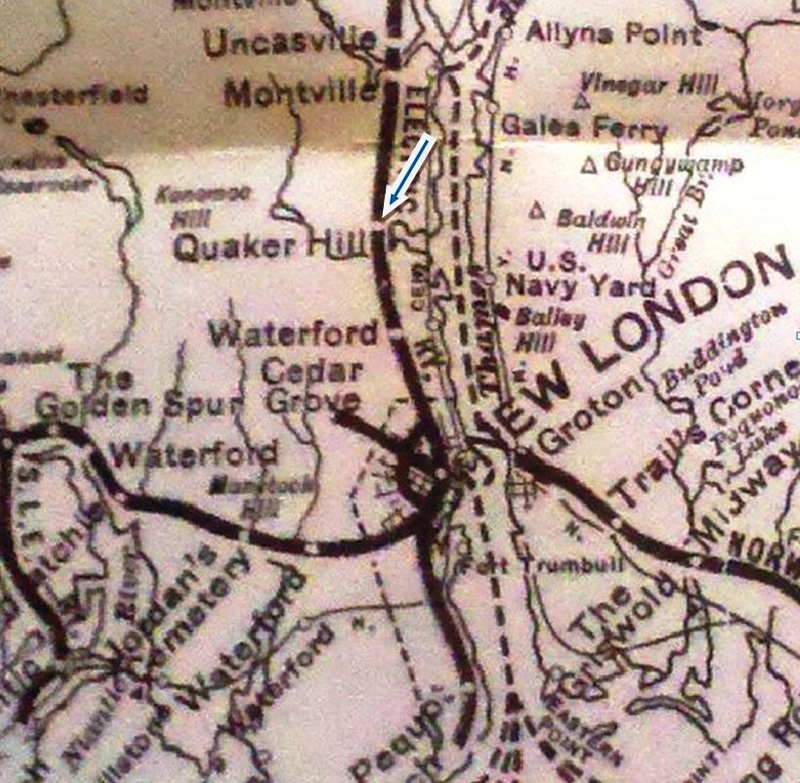 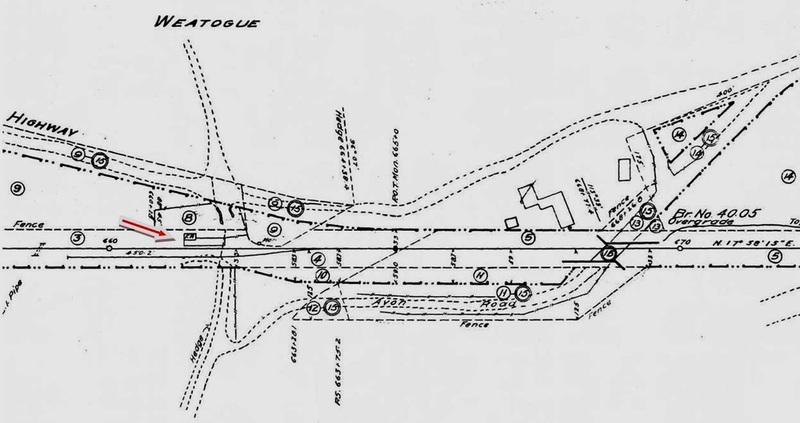 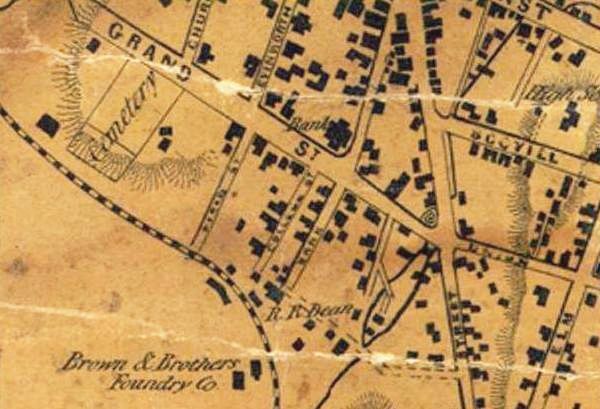 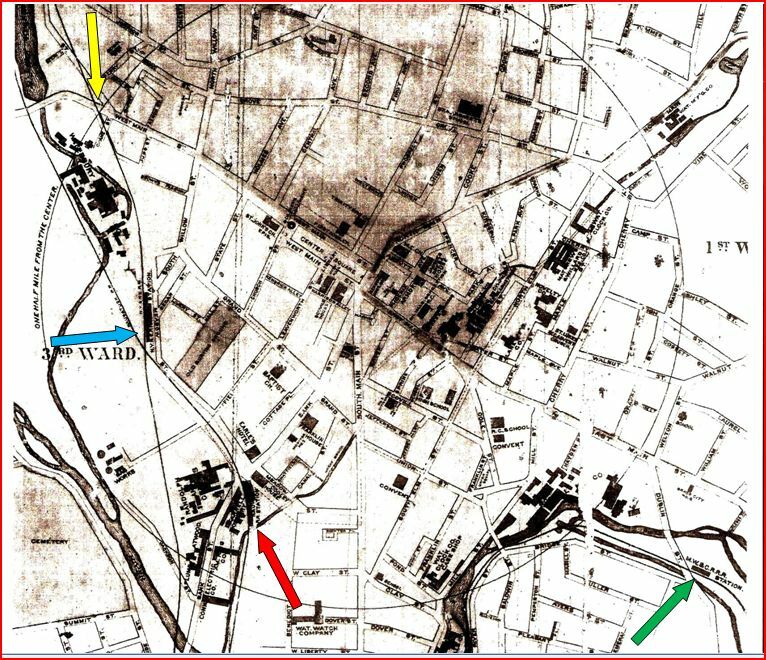 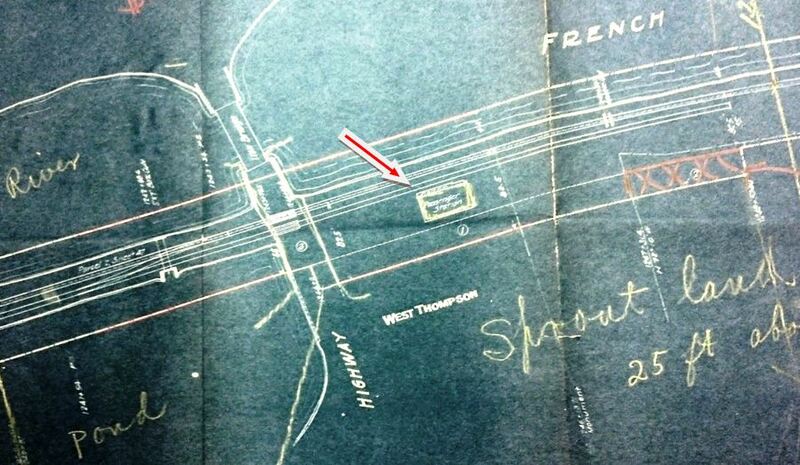 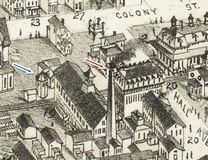 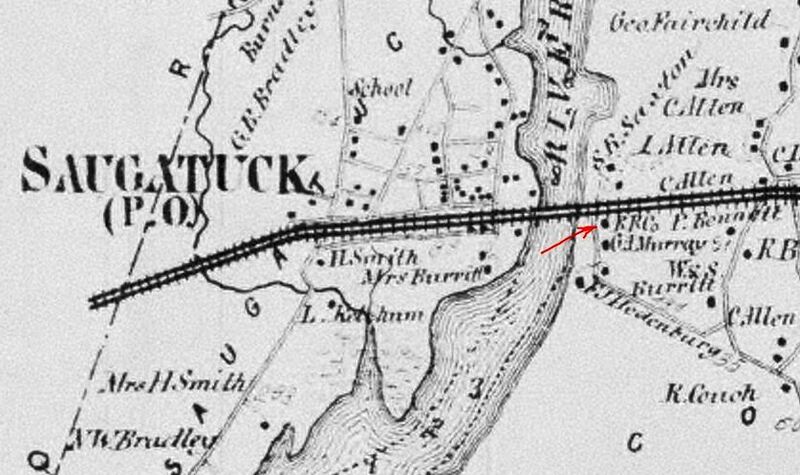 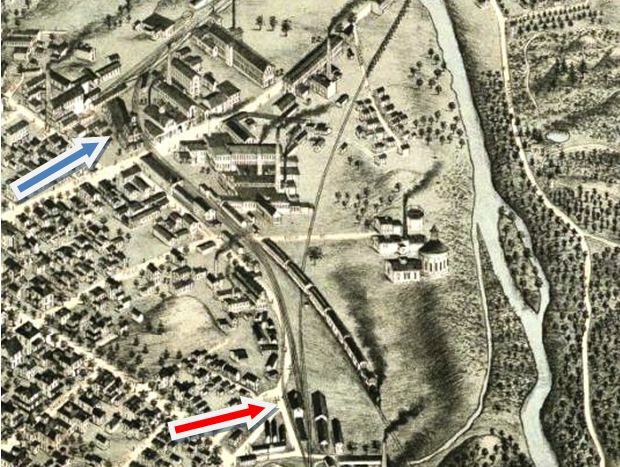 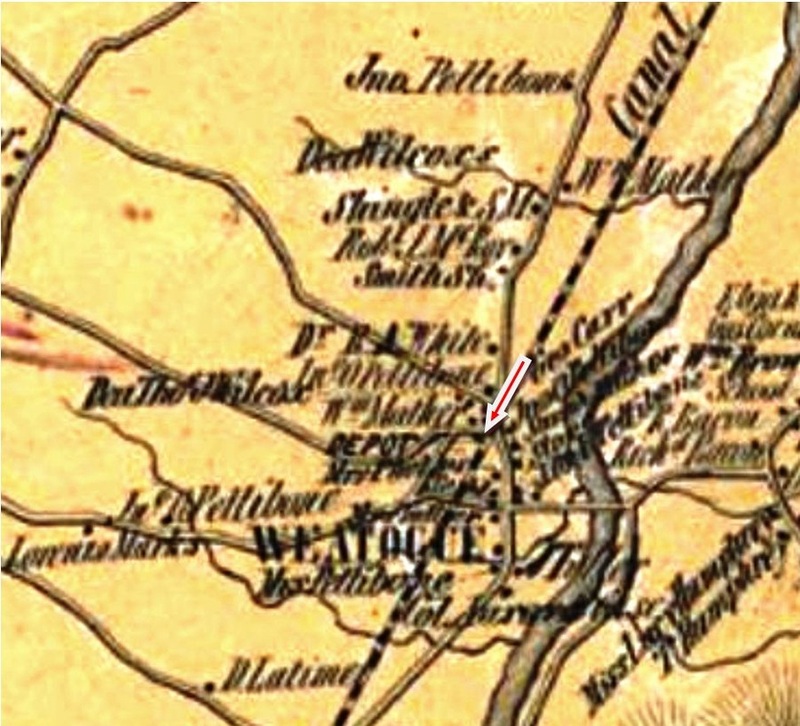 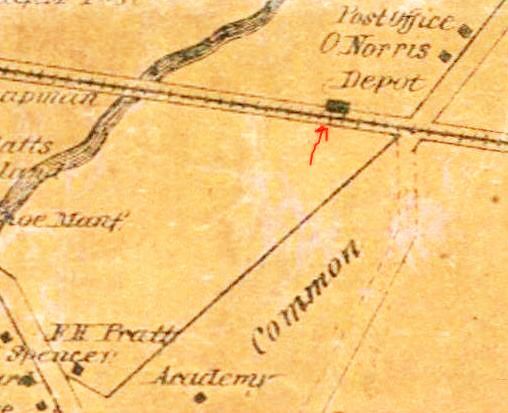 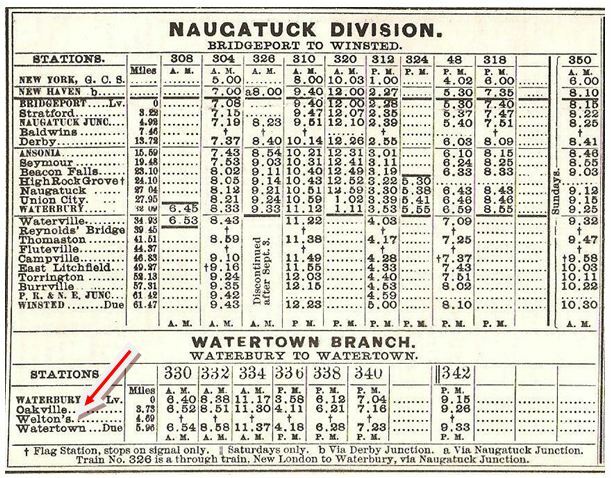 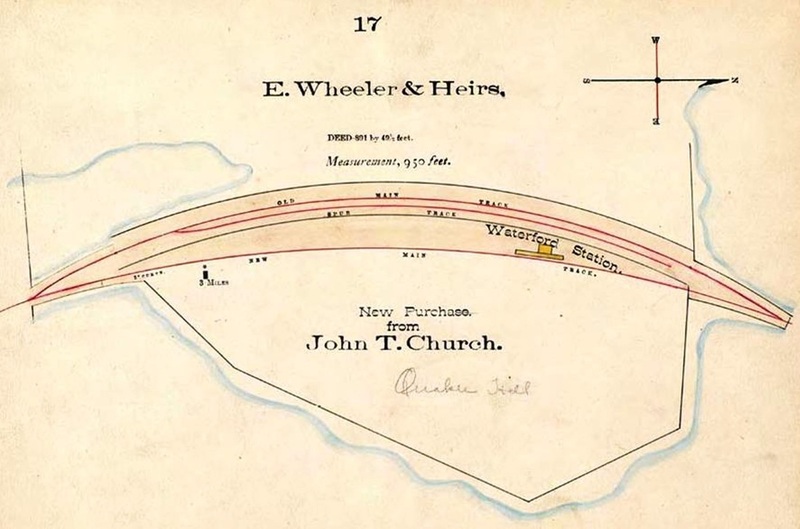 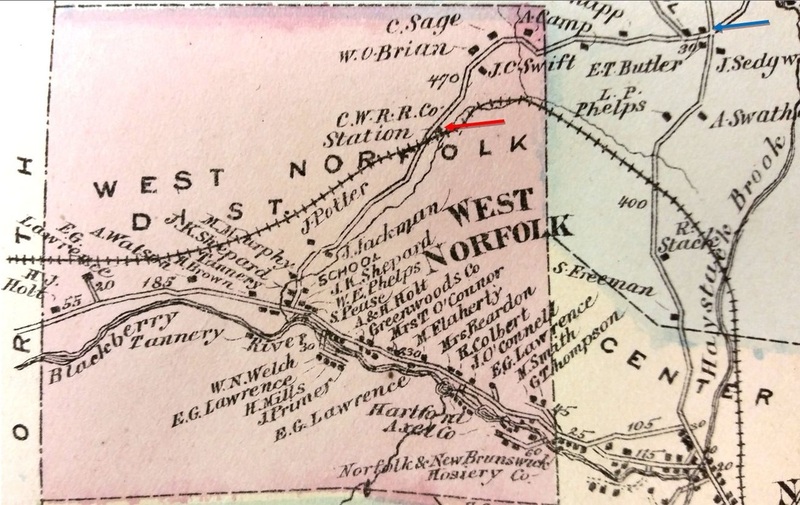 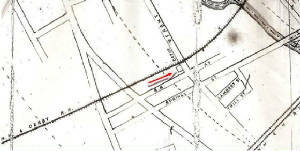 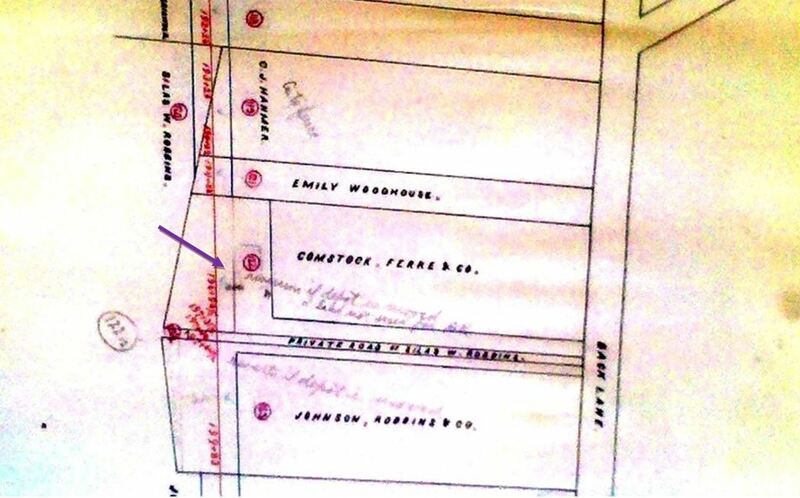 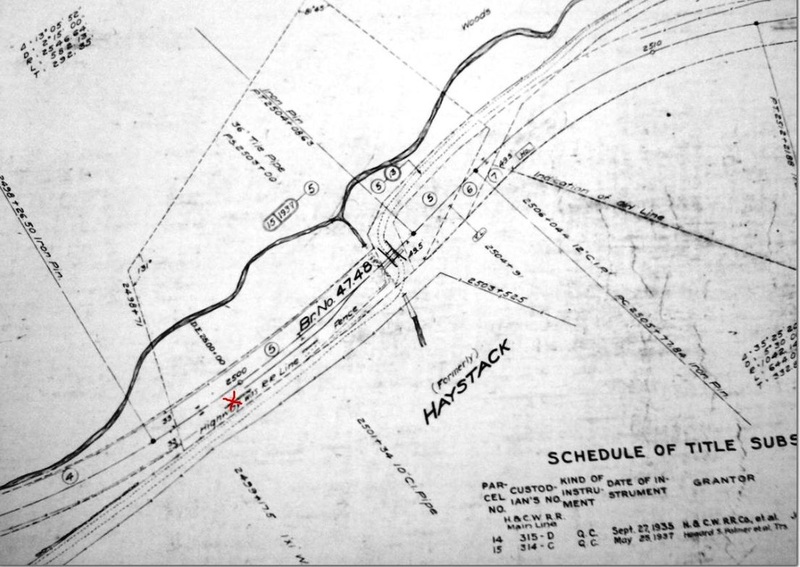 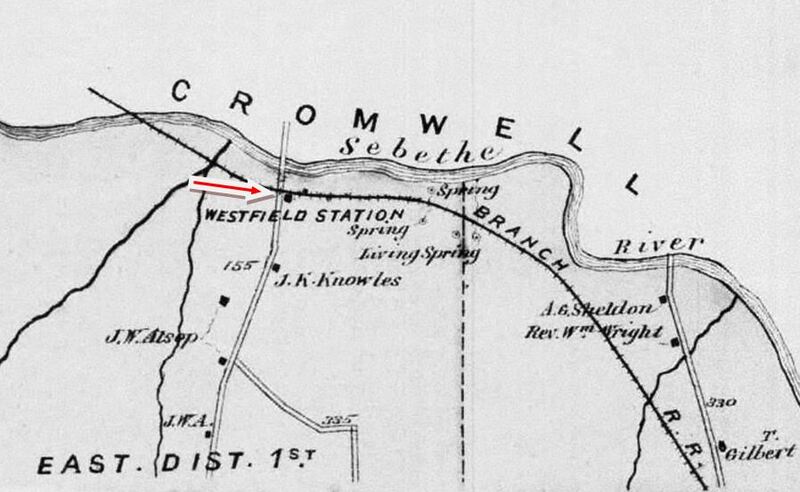 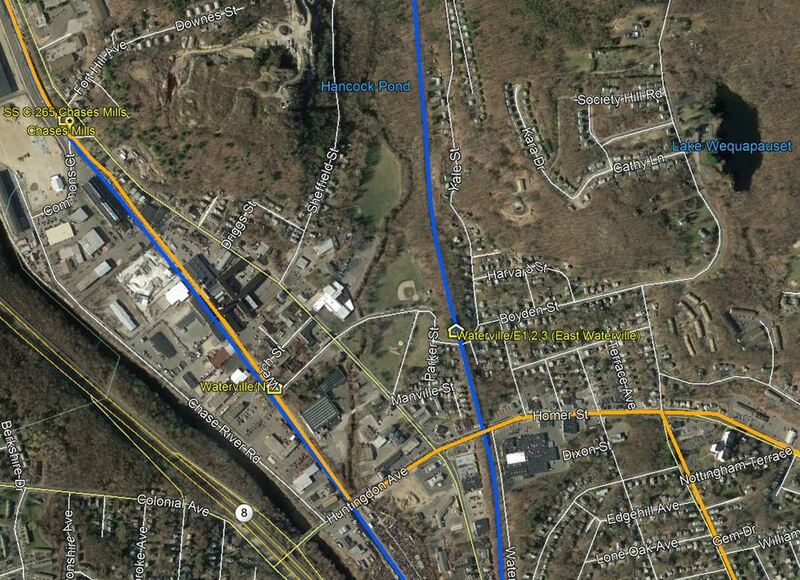 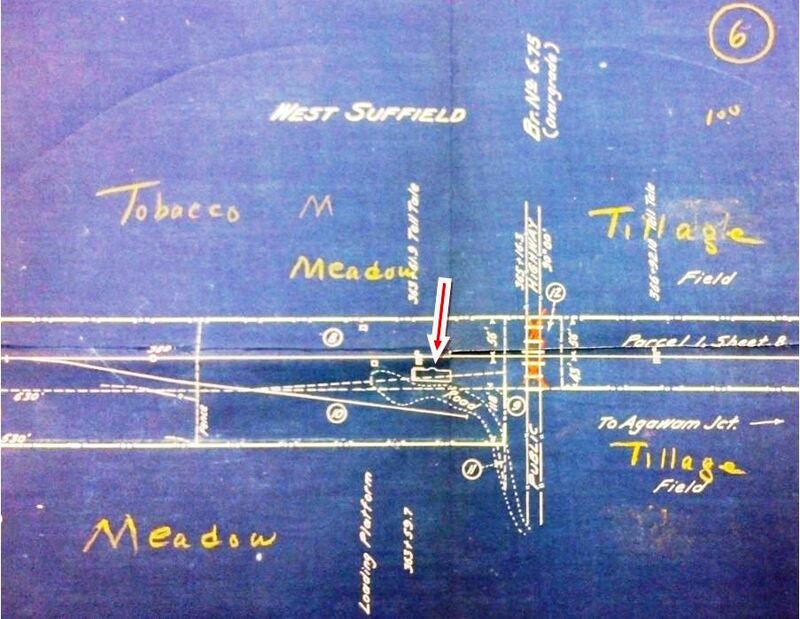 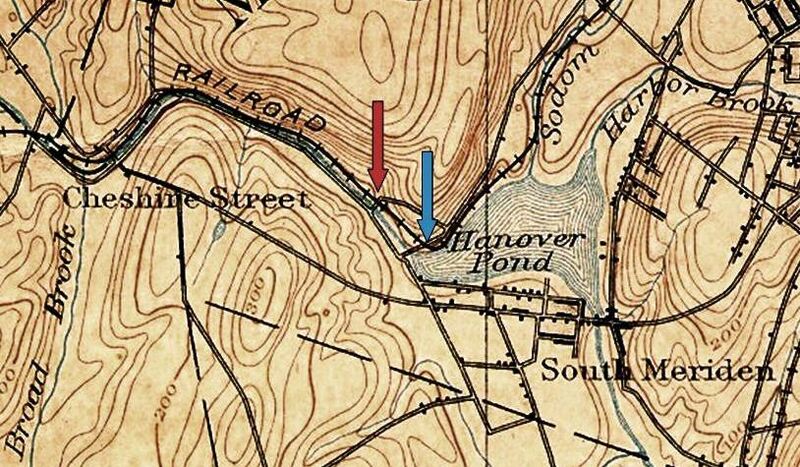 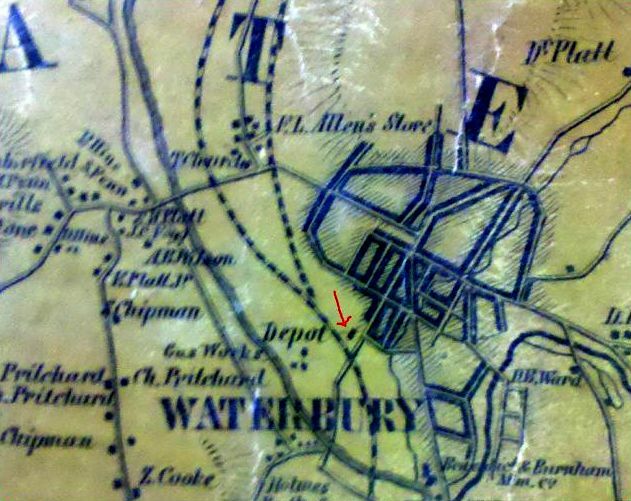 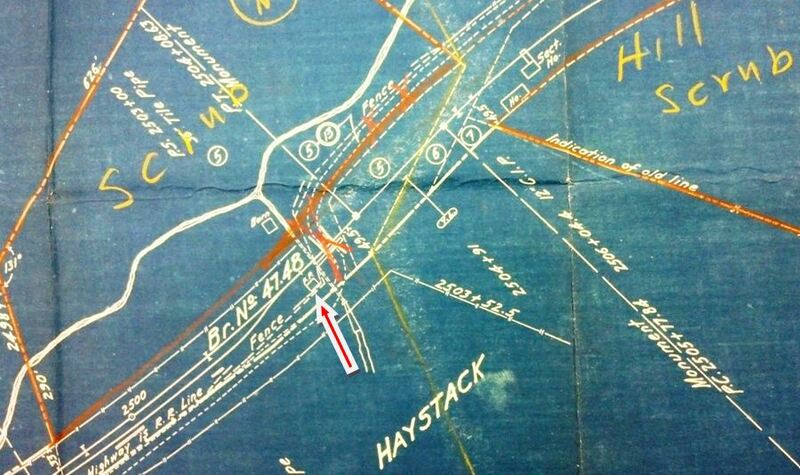 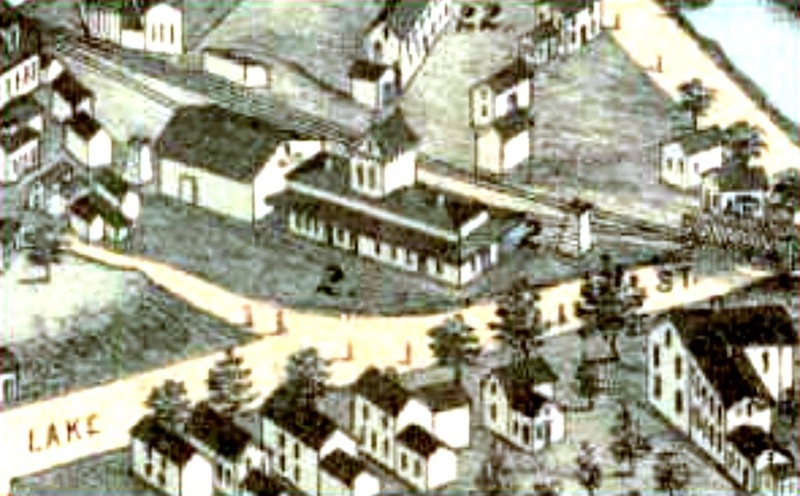 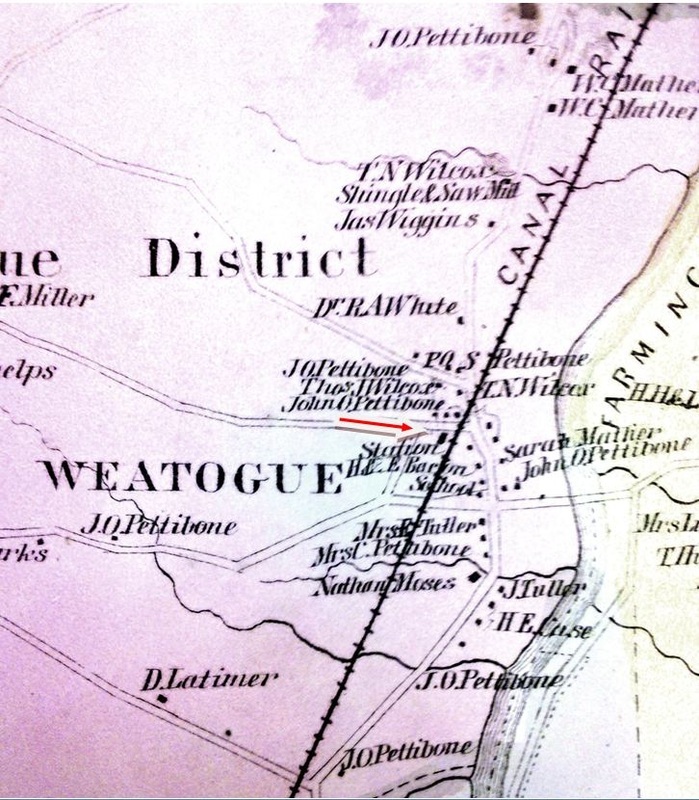 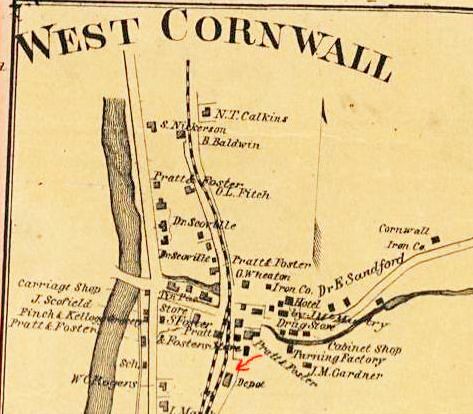 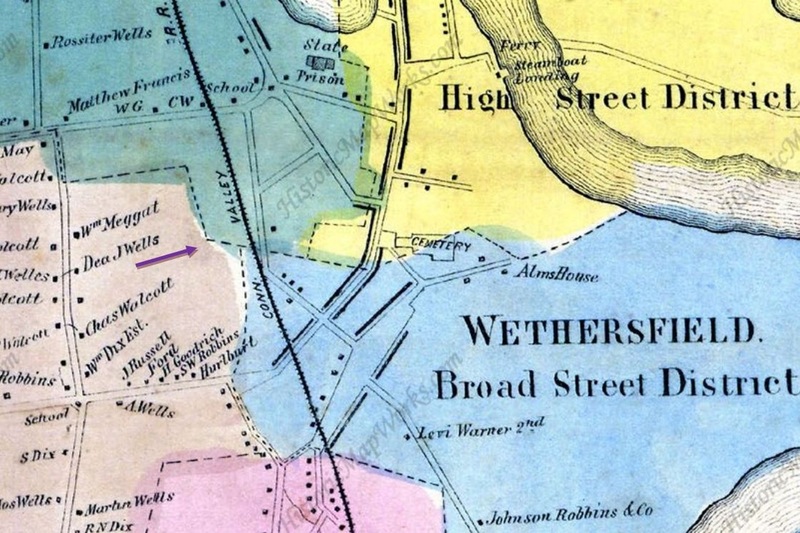 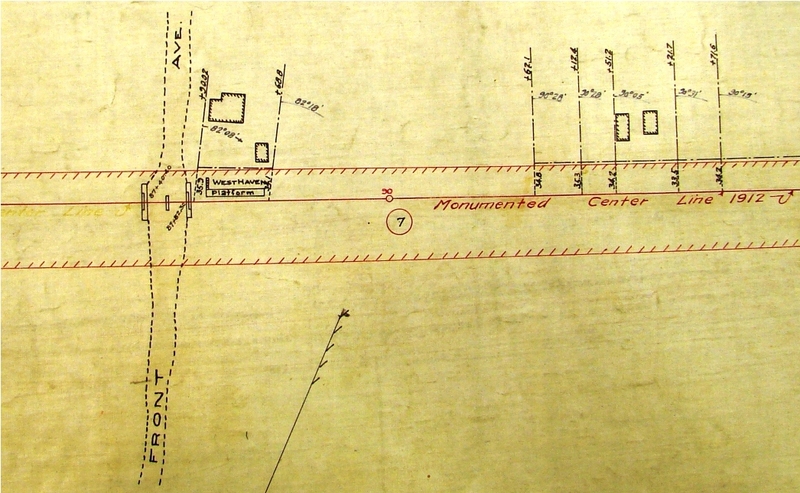 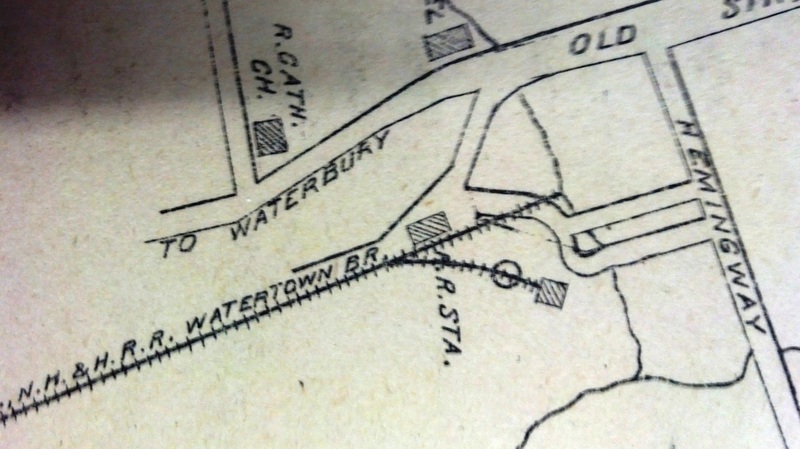 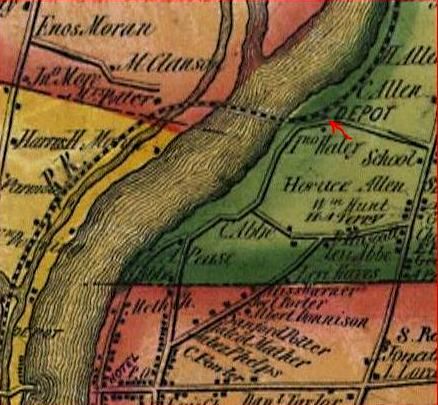 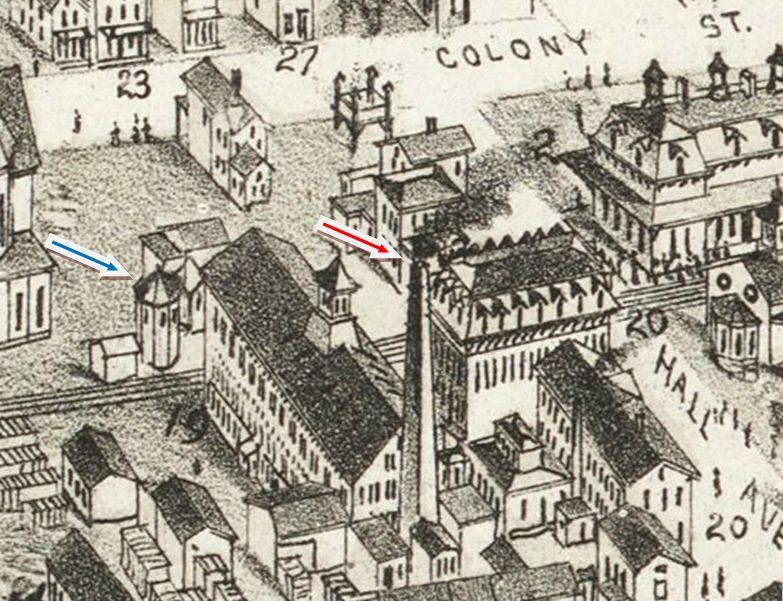 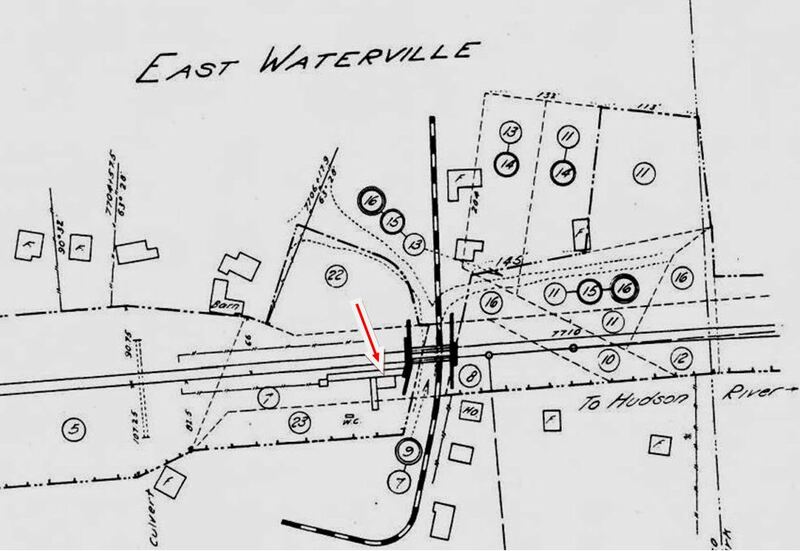 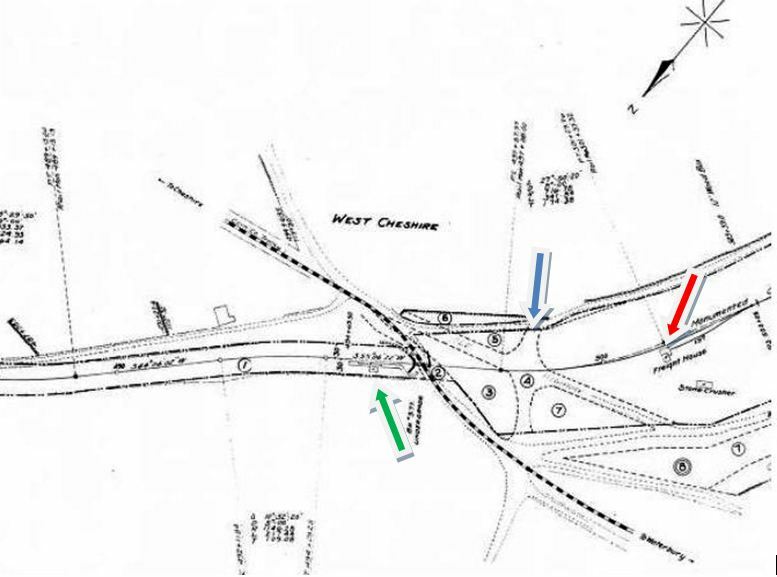 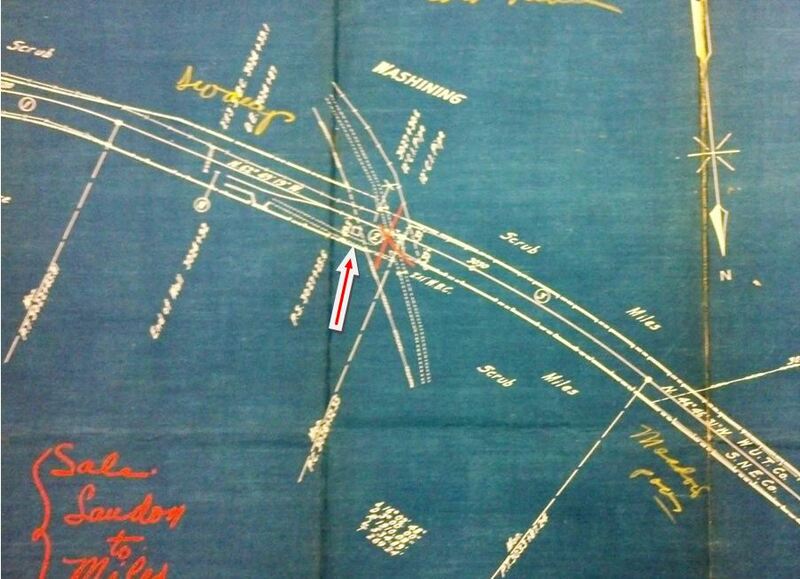 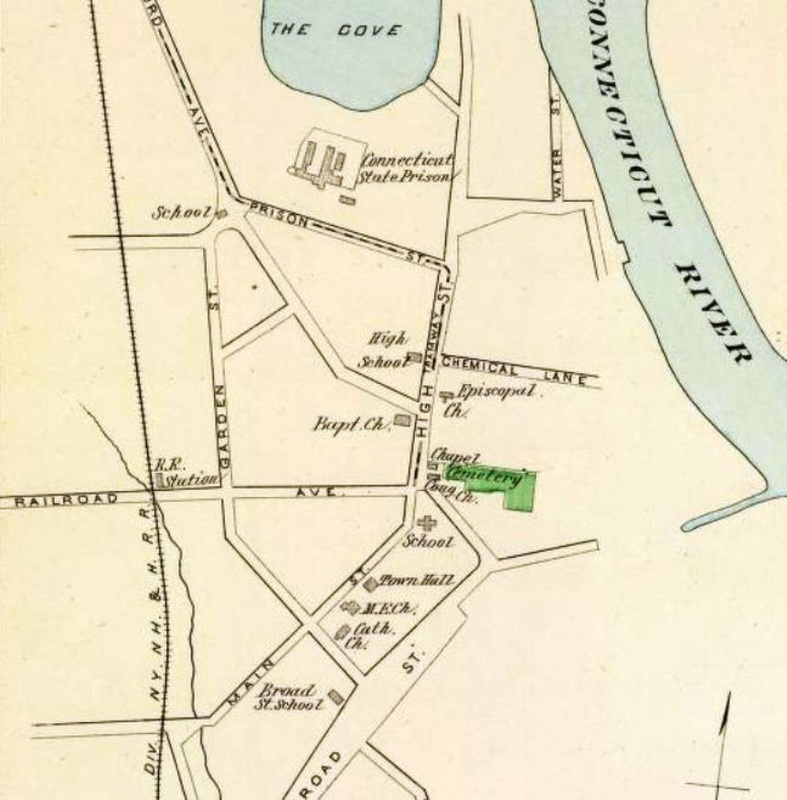 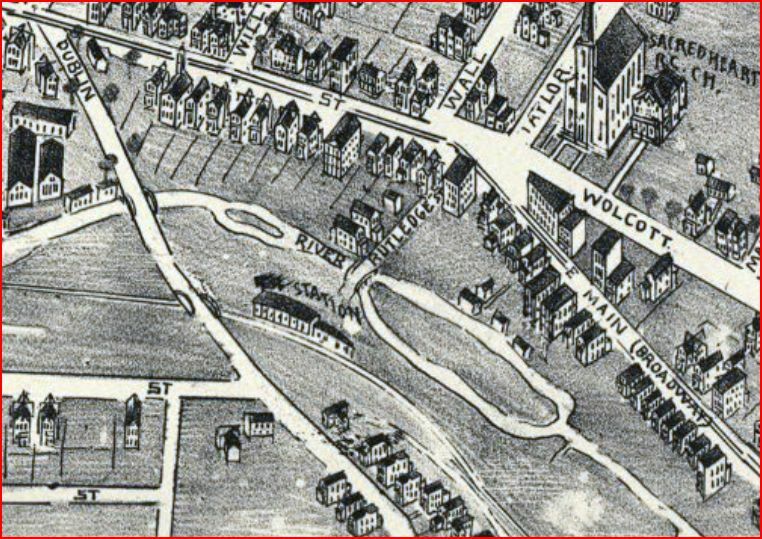 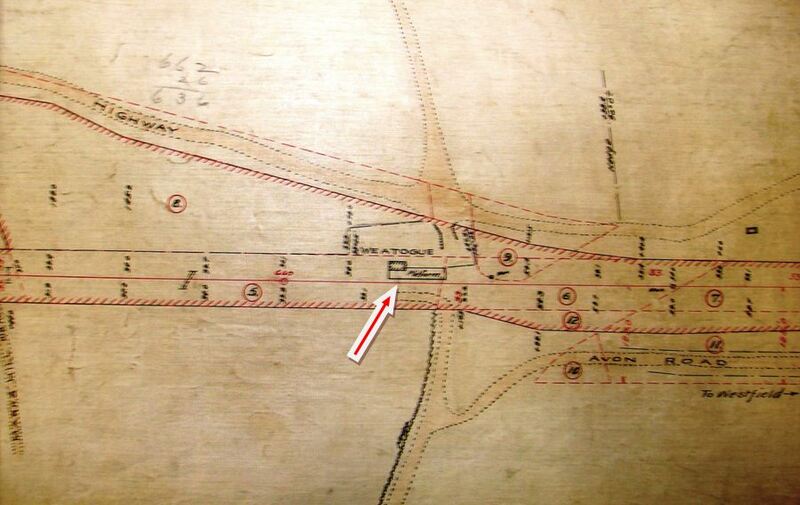 The 1868 map of the Saugatuck area of town shows the railroad station on the east side of the river, not the west side as at present, the change probably having been made with the four-tracking of 1893. 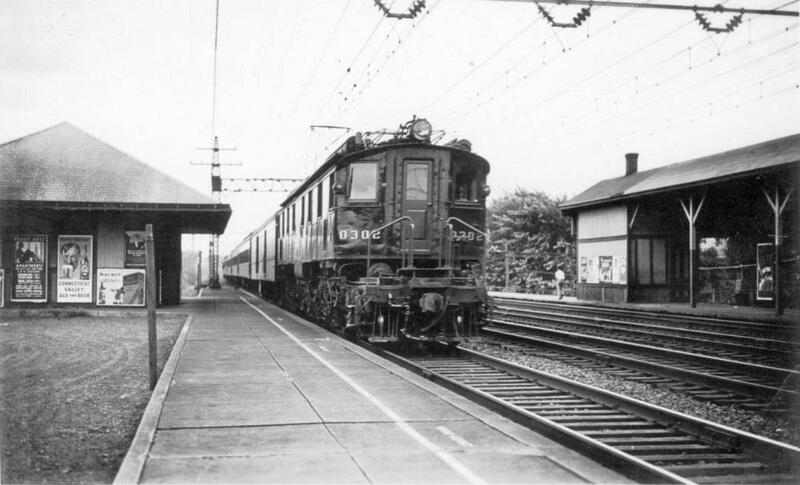 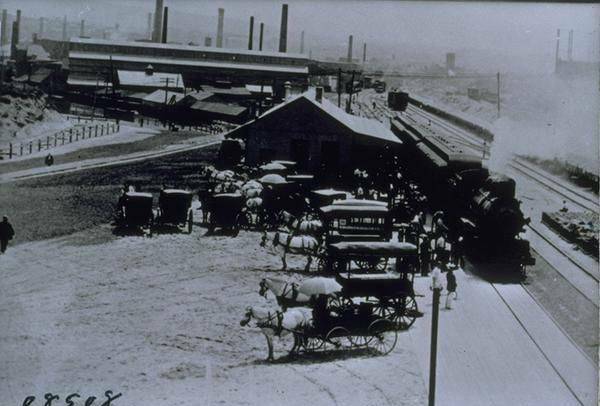 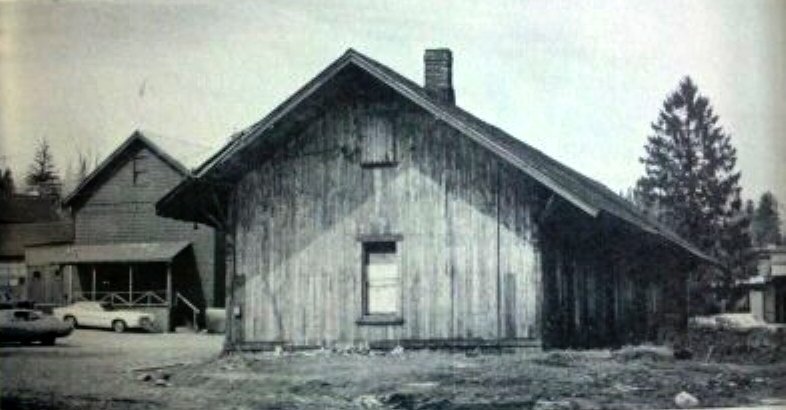 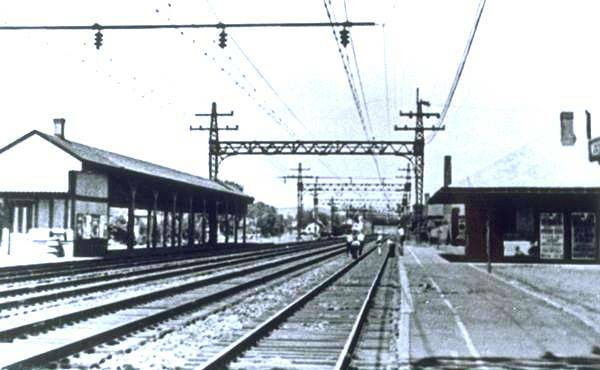 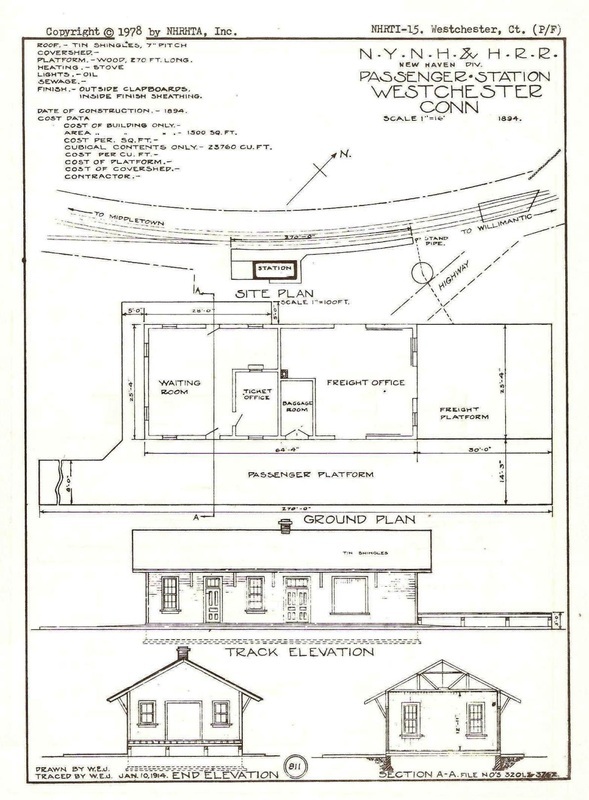 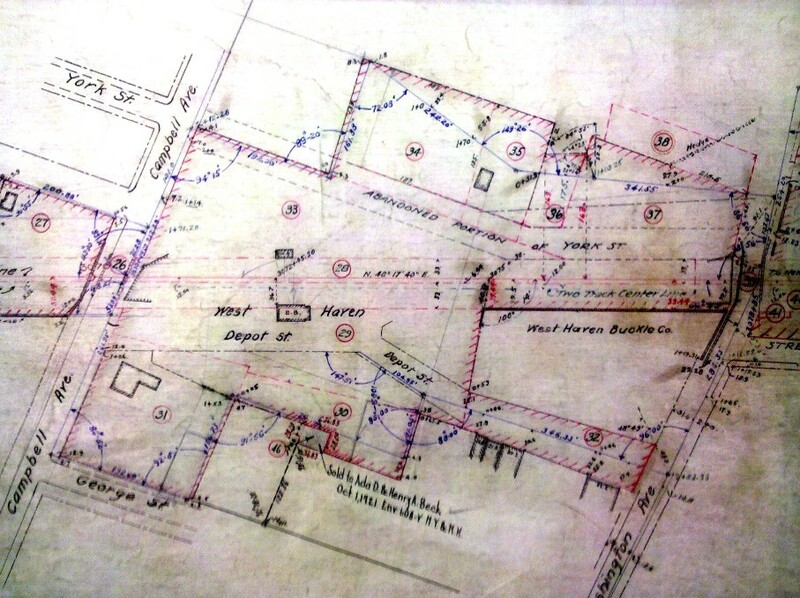 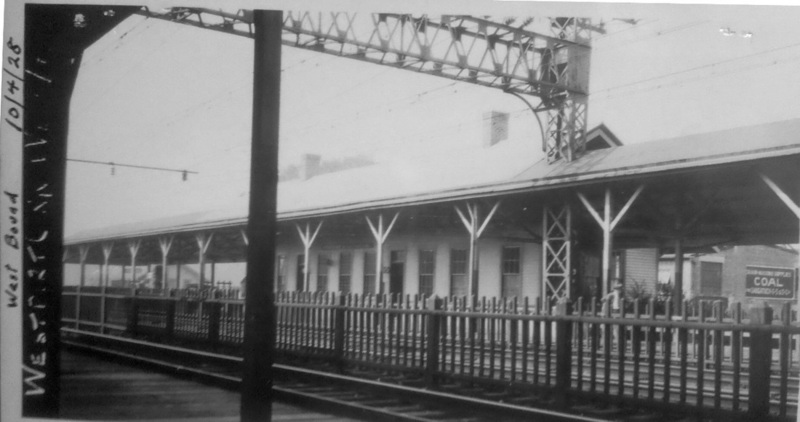 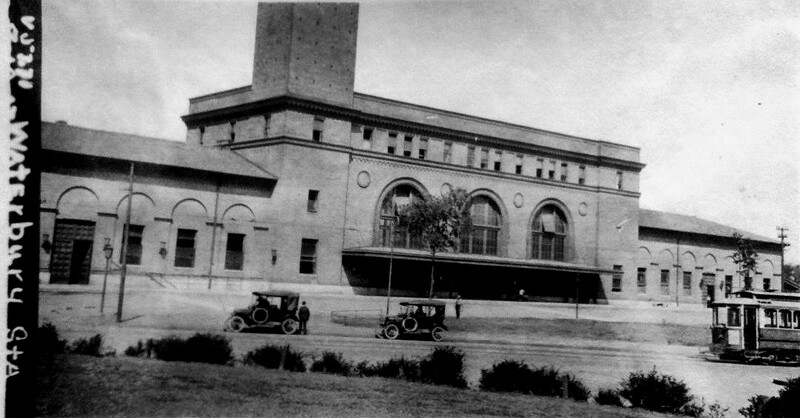 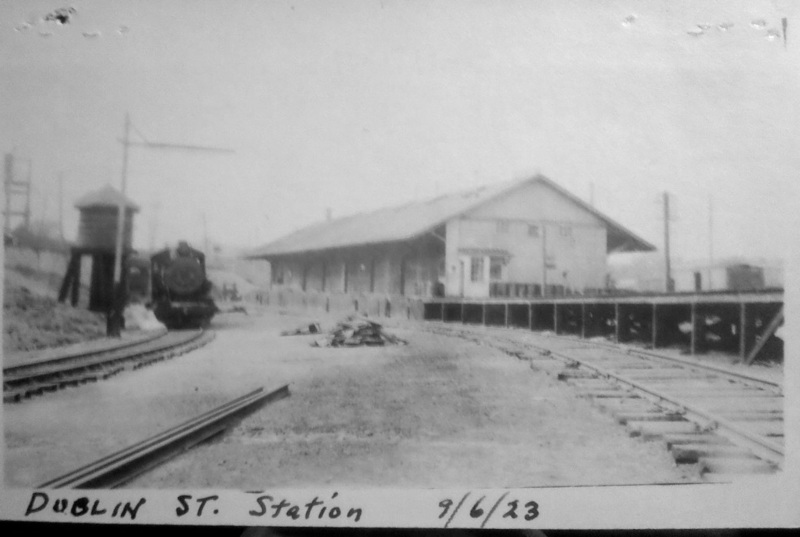 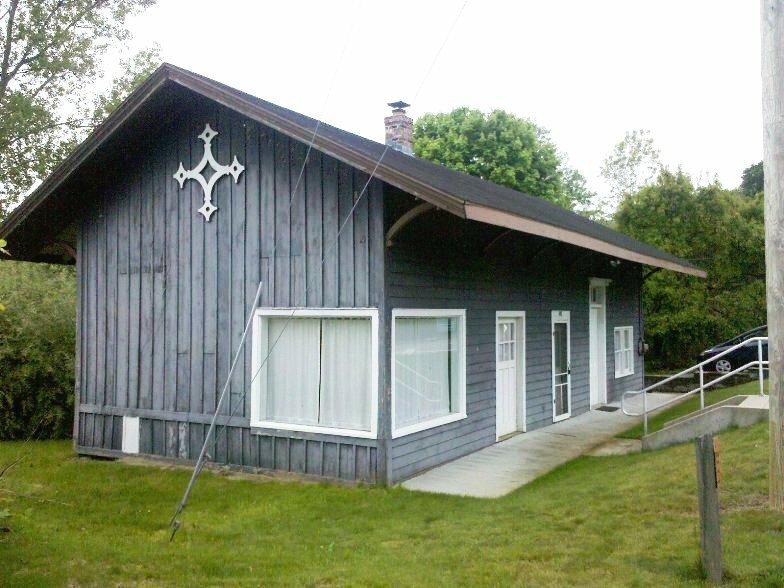 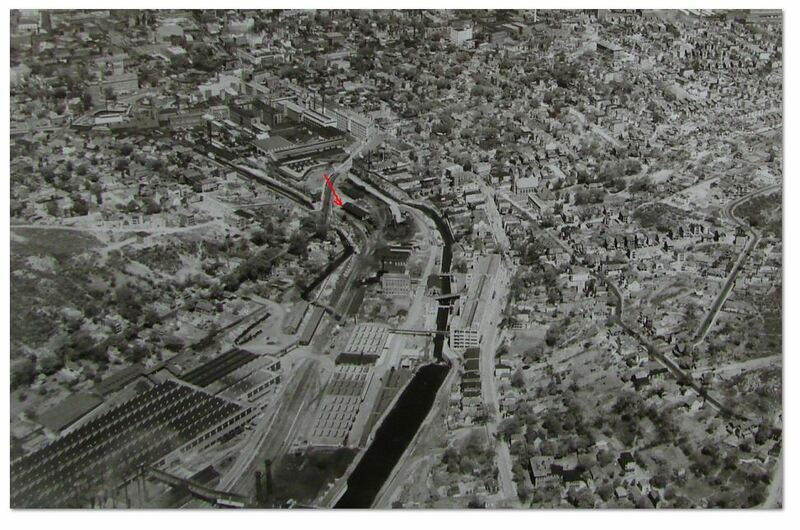 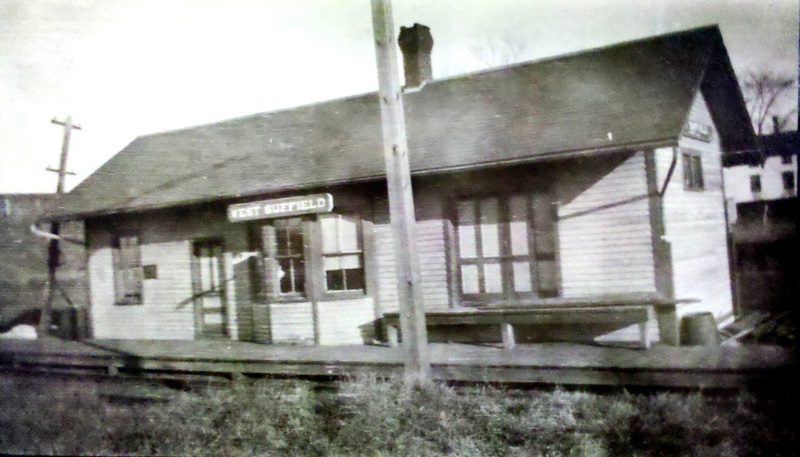 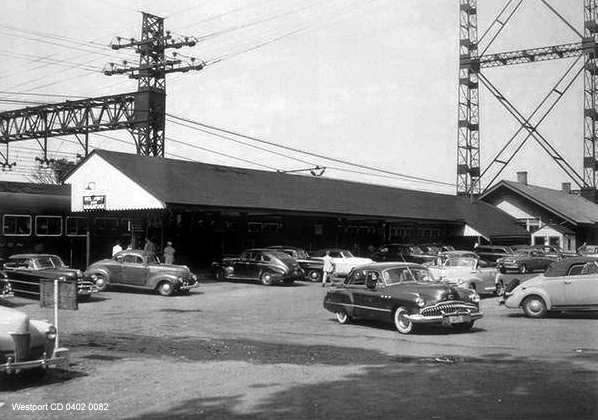 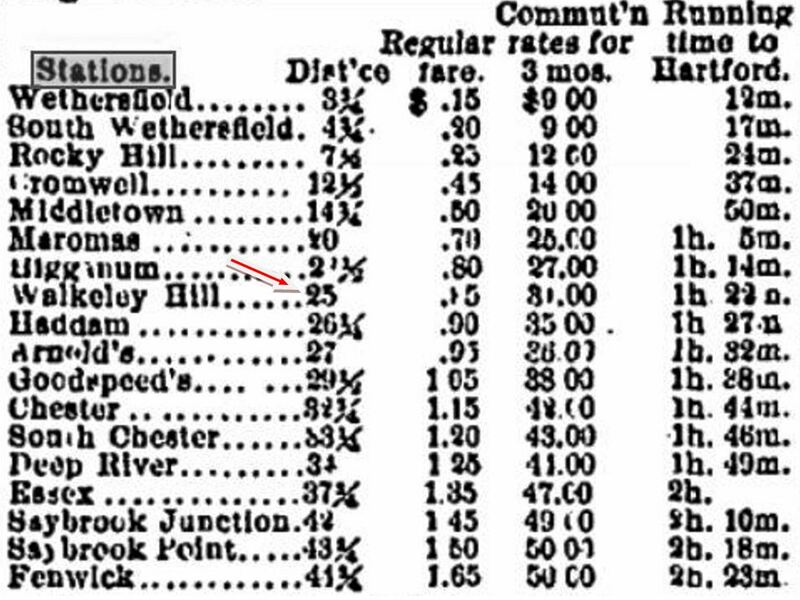 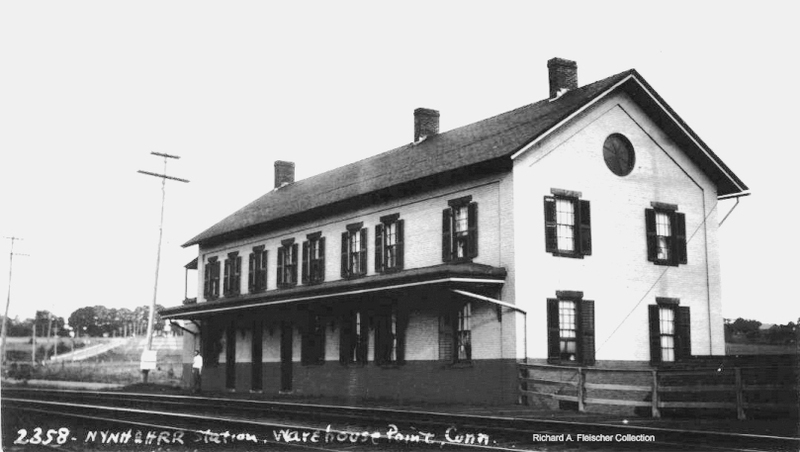 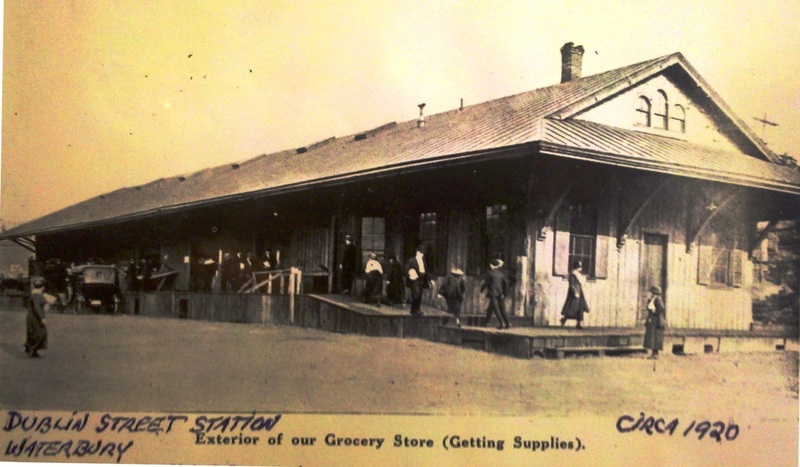 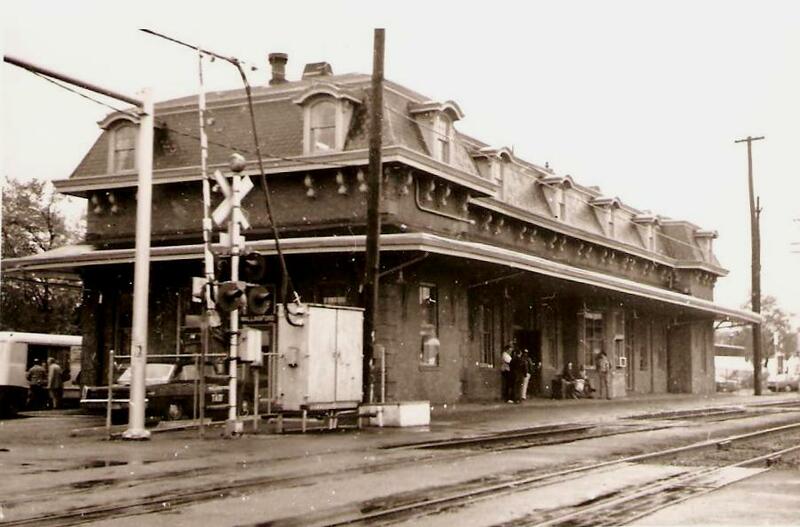 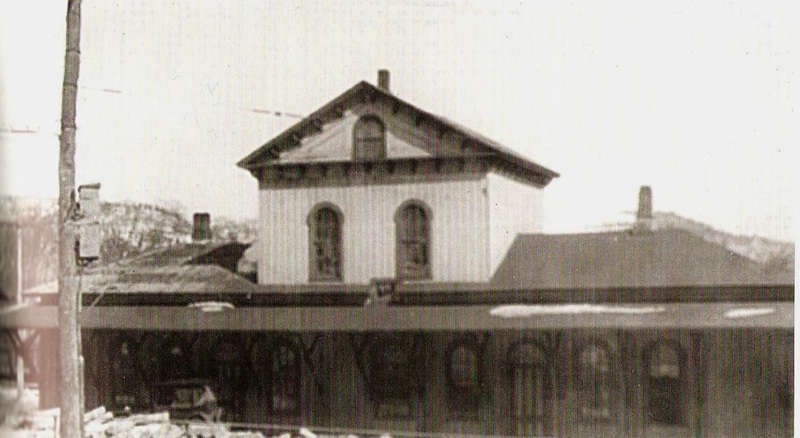 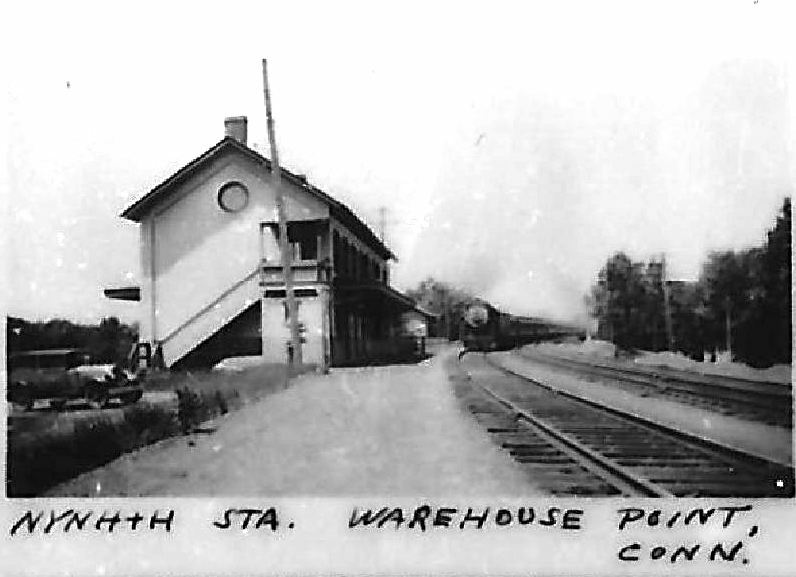 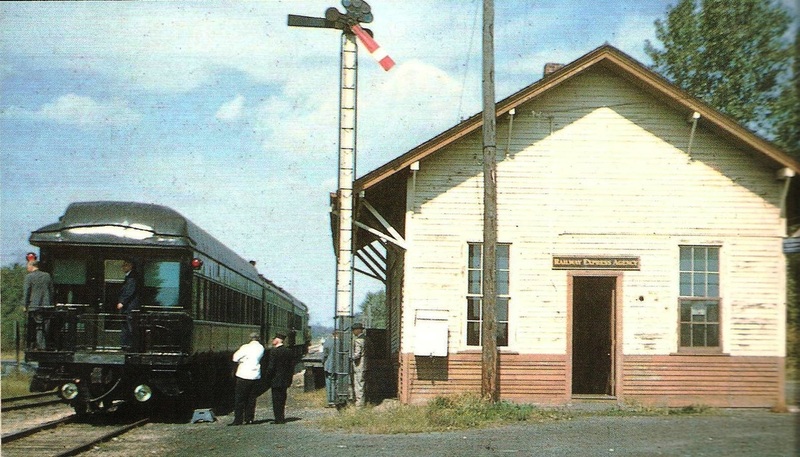 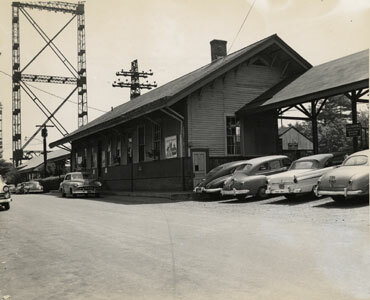 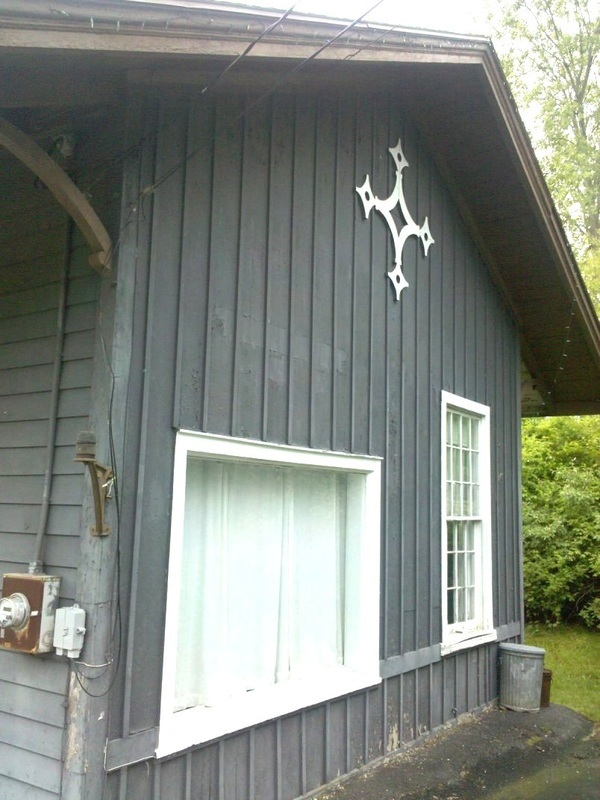 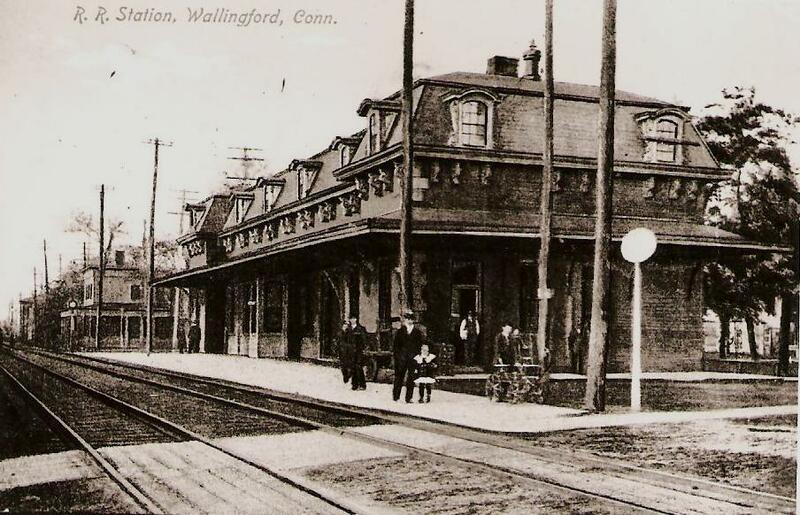 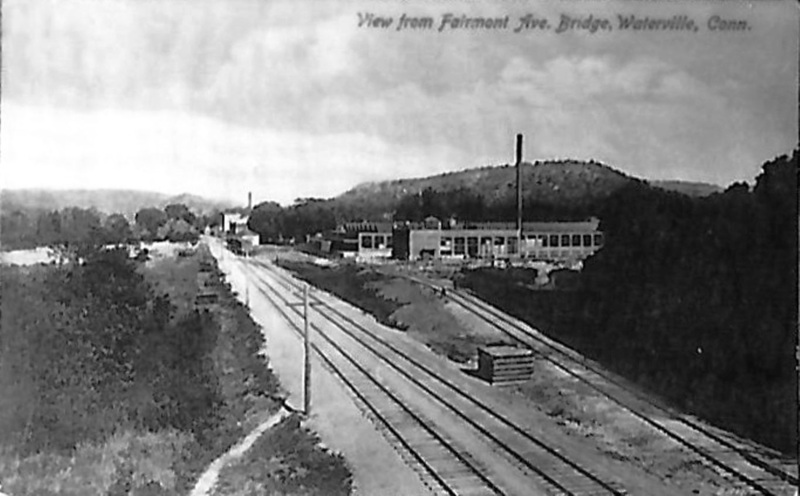 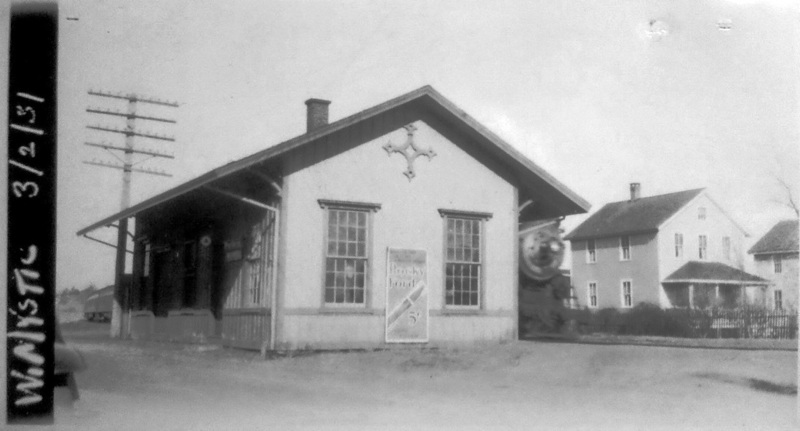 We have no photo yet of this station, which if it followed the pattern of most all the other early NY&NY depots, was the cross-gabled Gothic type, like STRATFORD1, NORWALK1 and others. 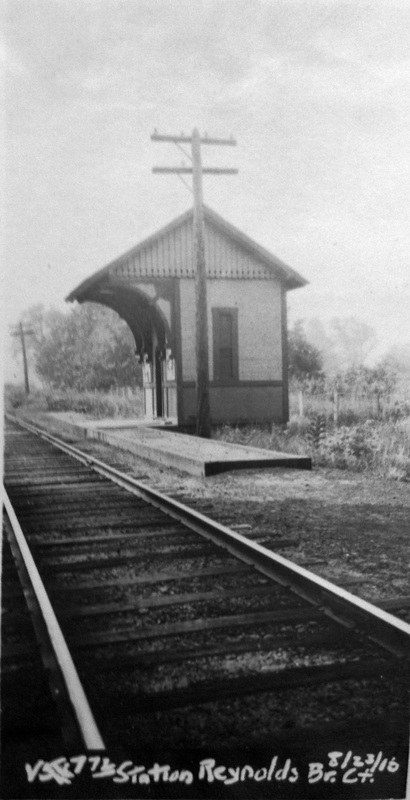 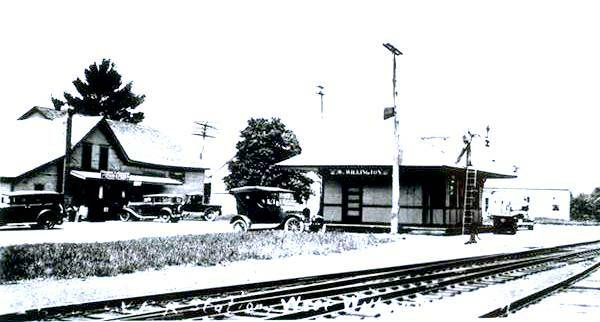 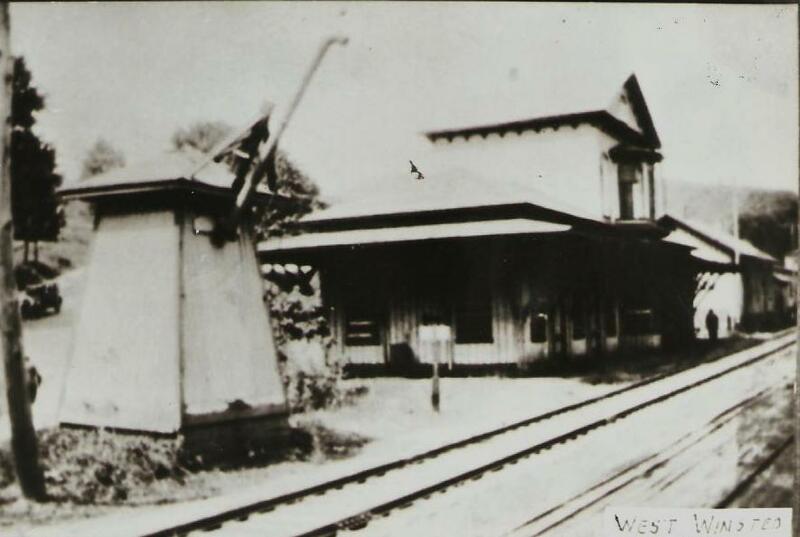 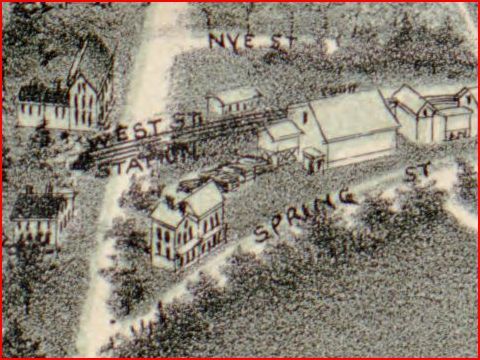 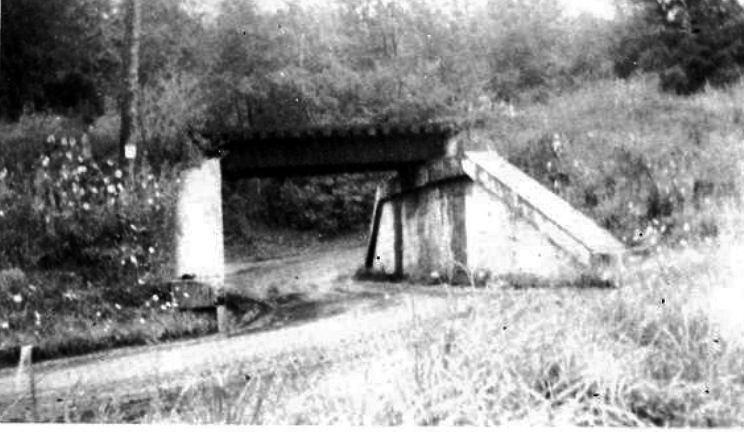 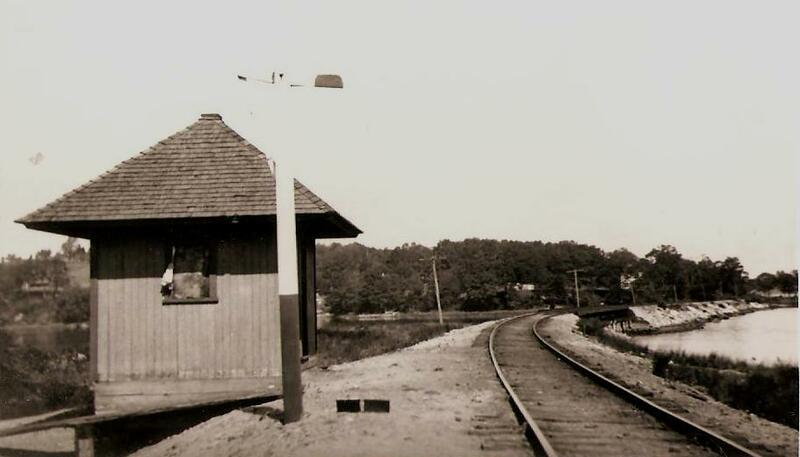 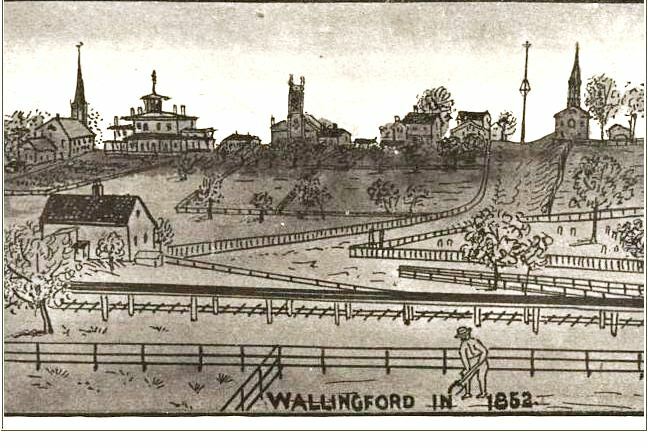 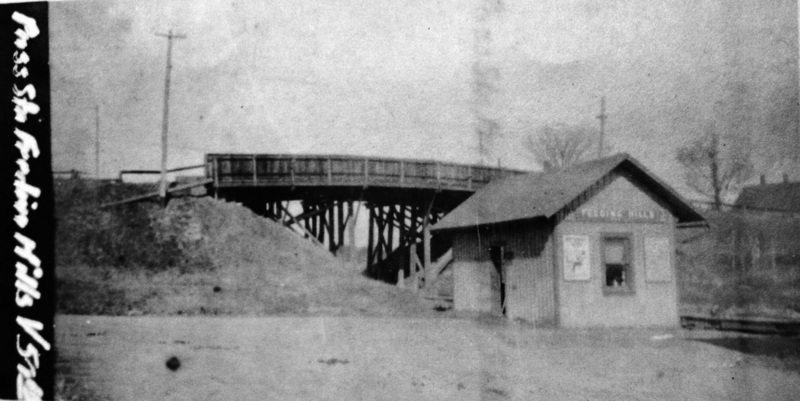 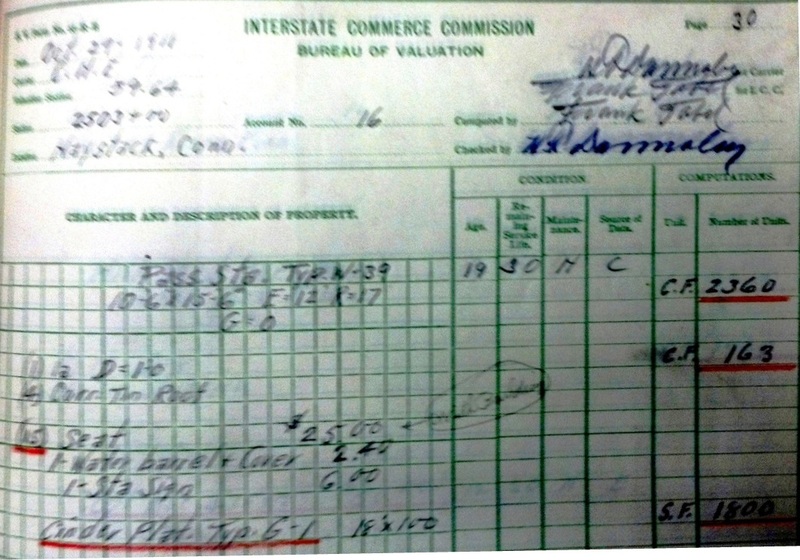 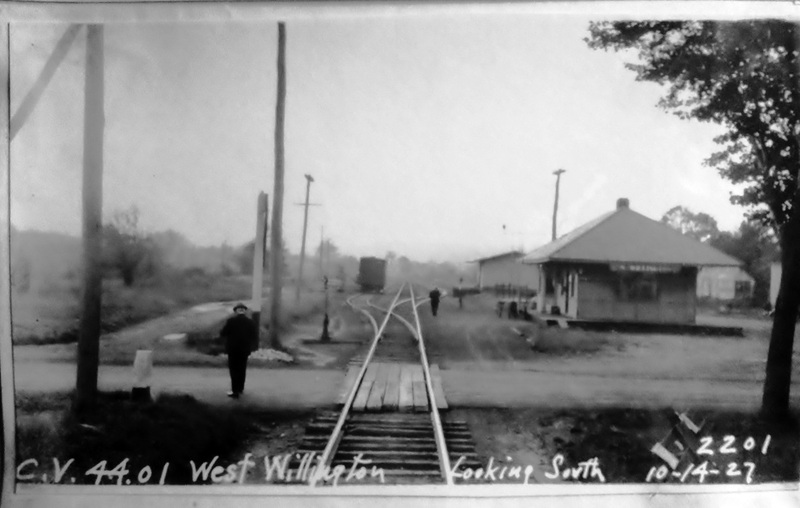 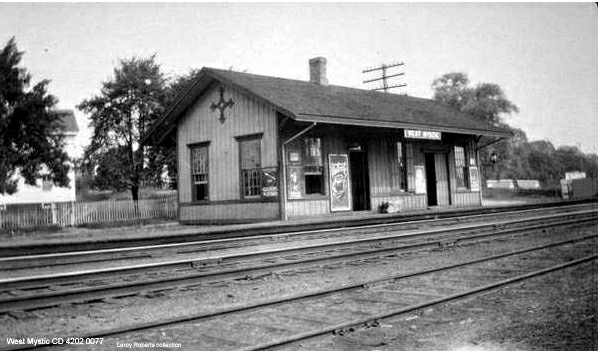 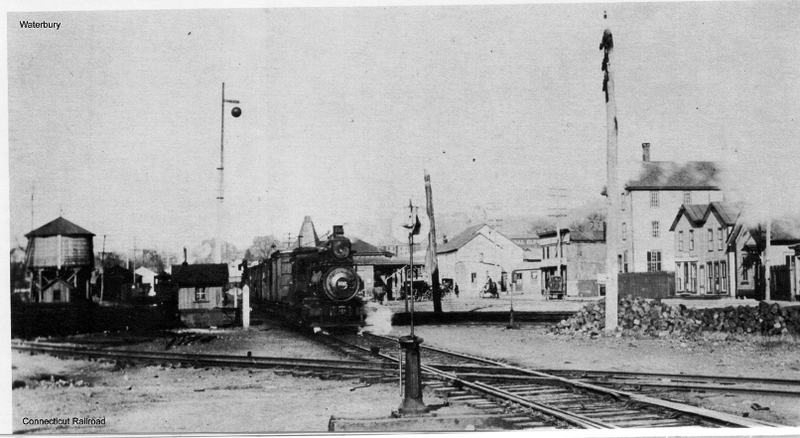 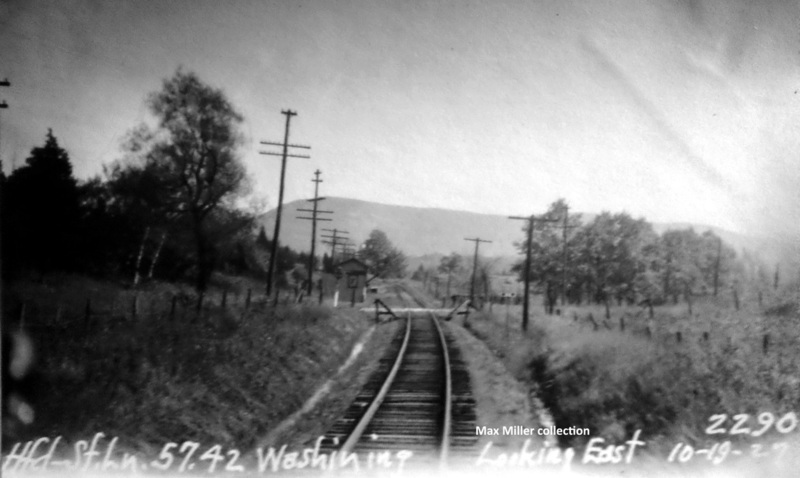 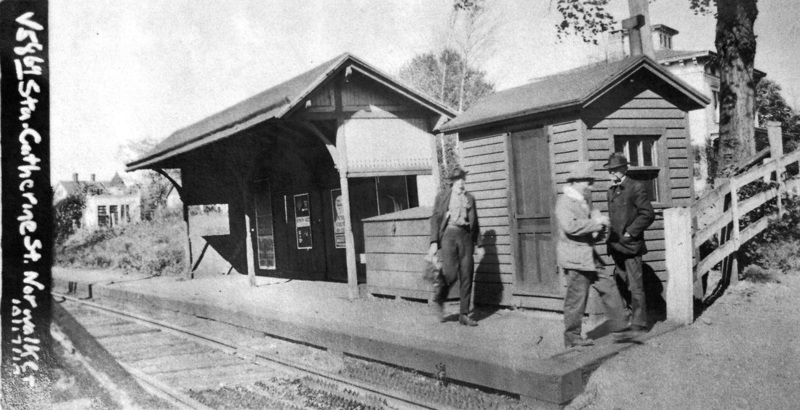 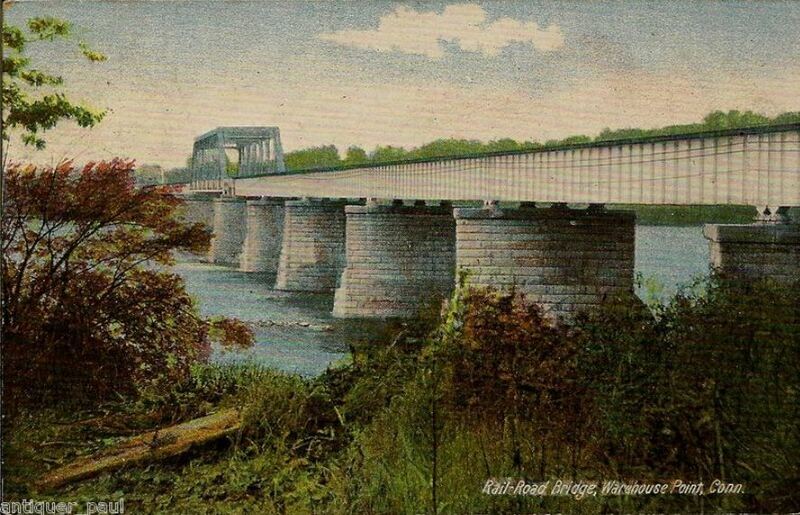 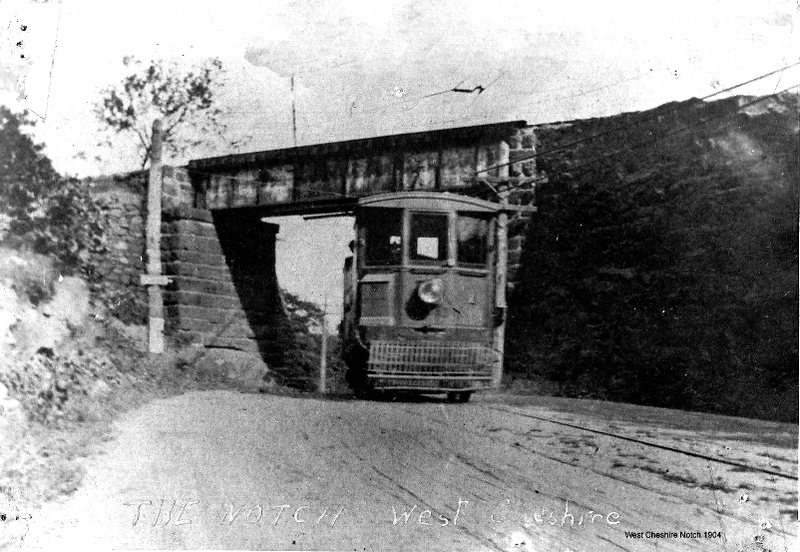 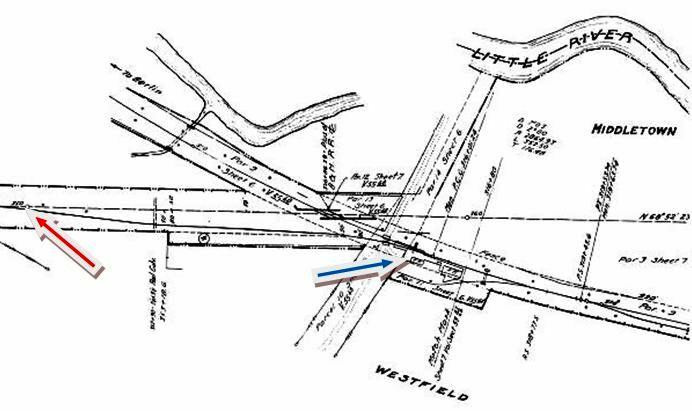 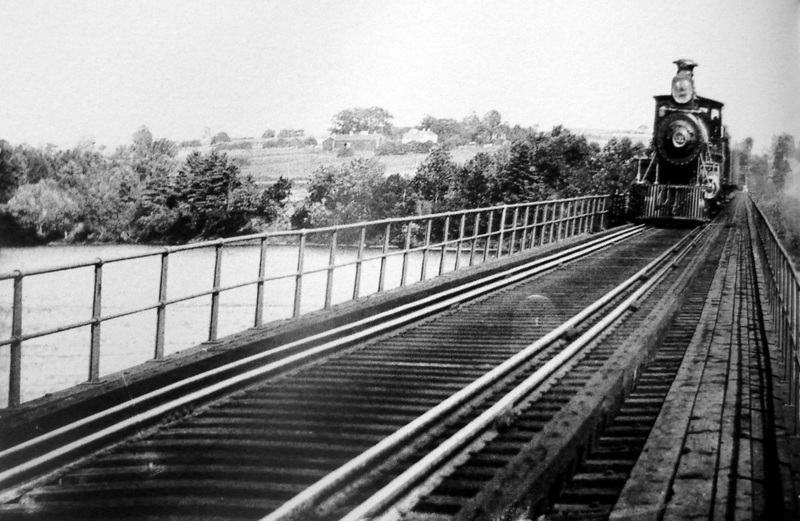 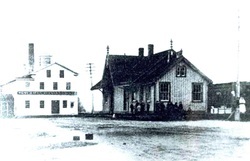 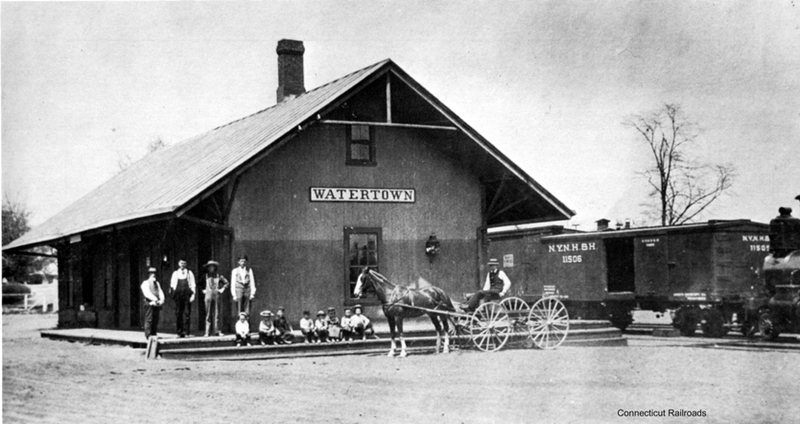 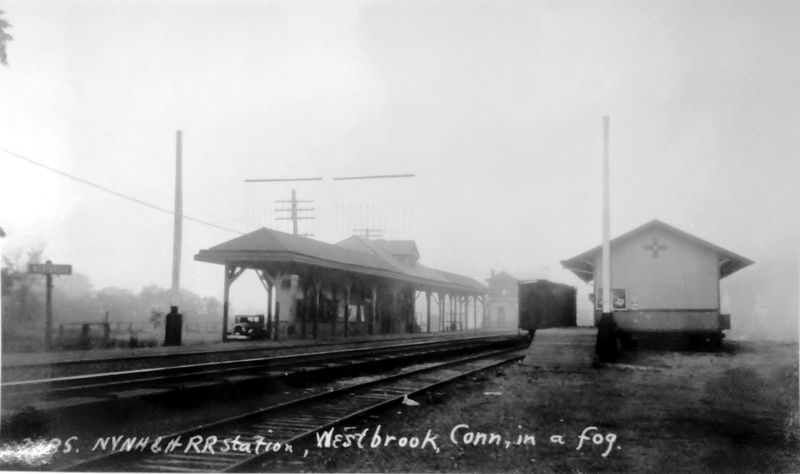 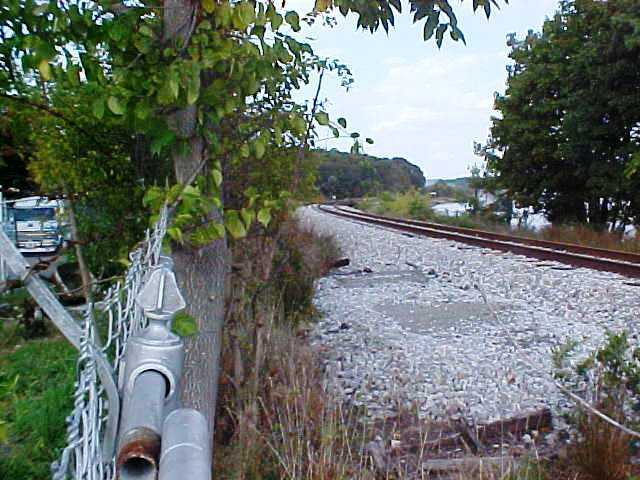 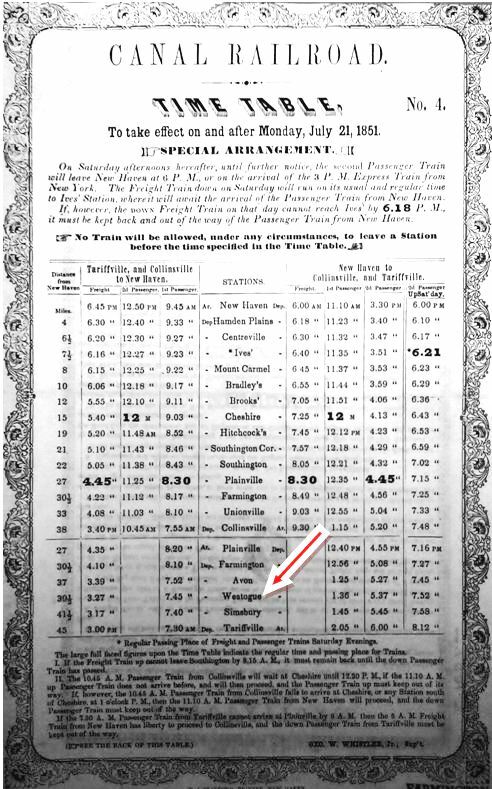 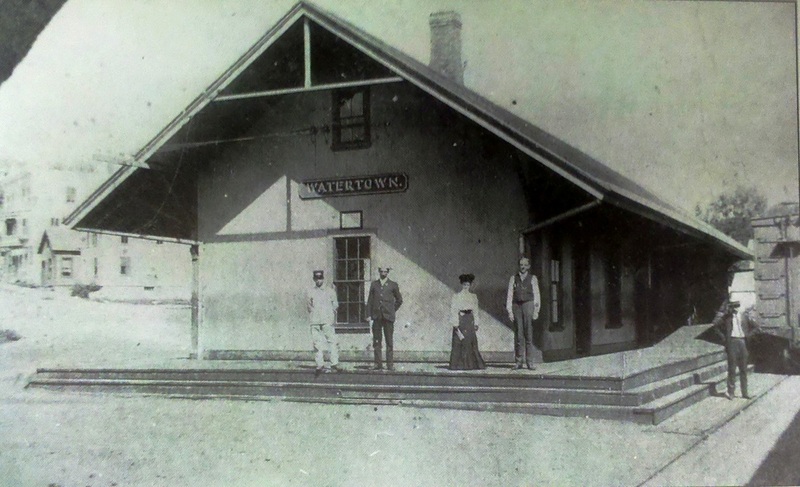 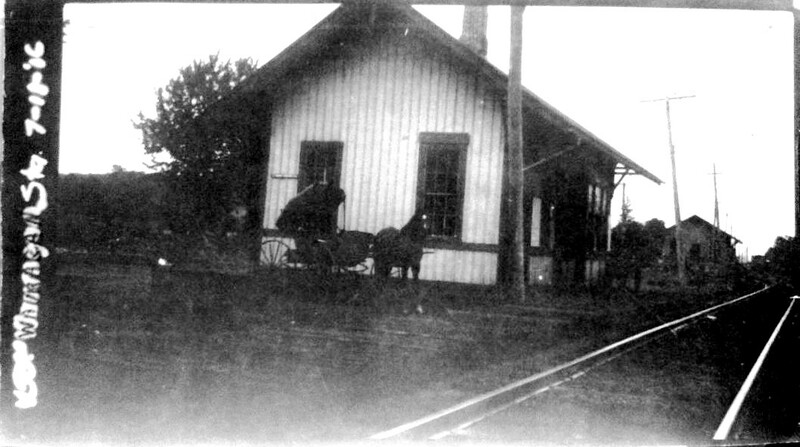 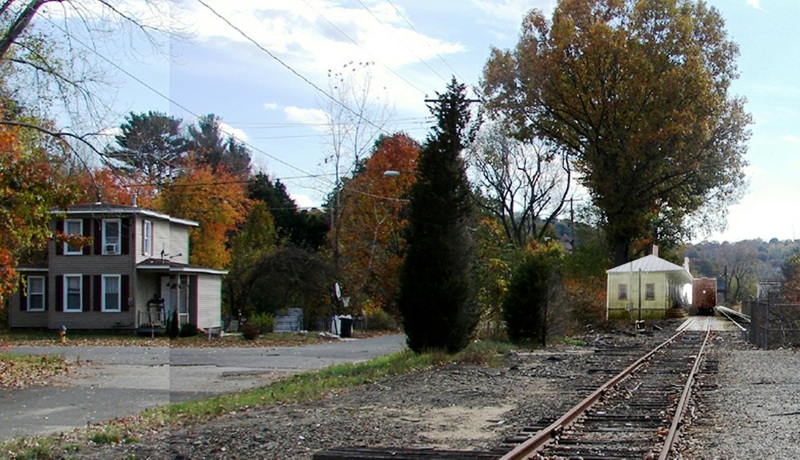 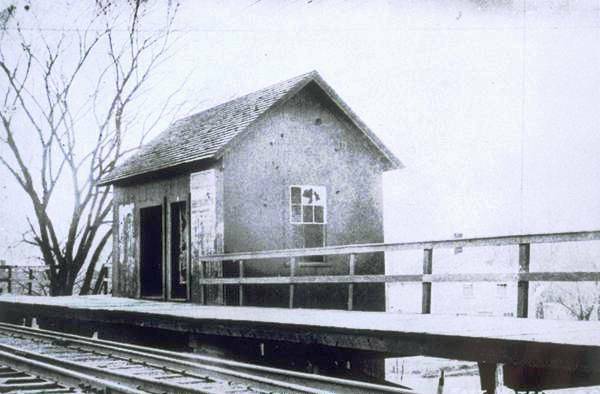 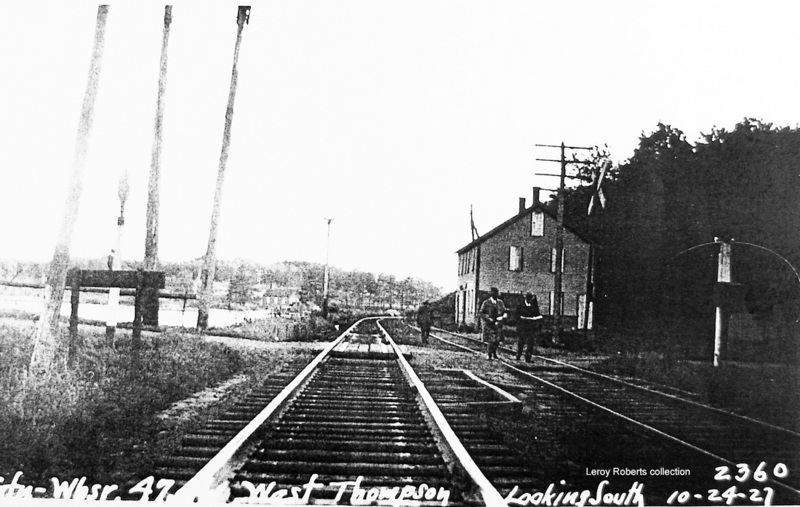 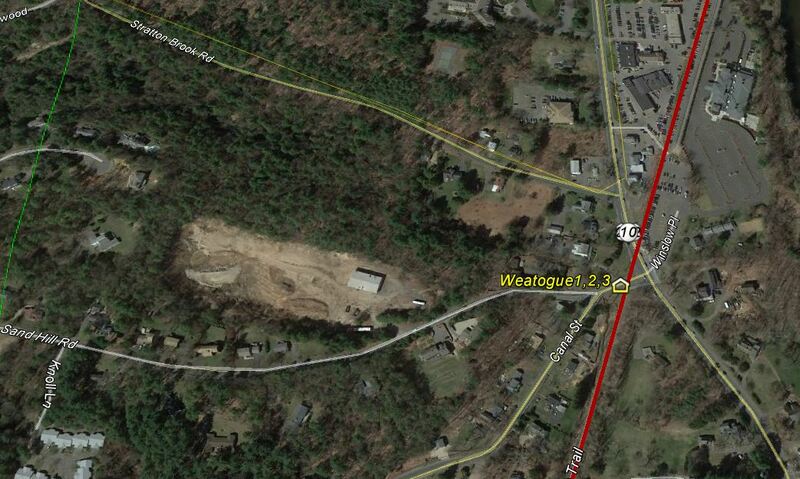 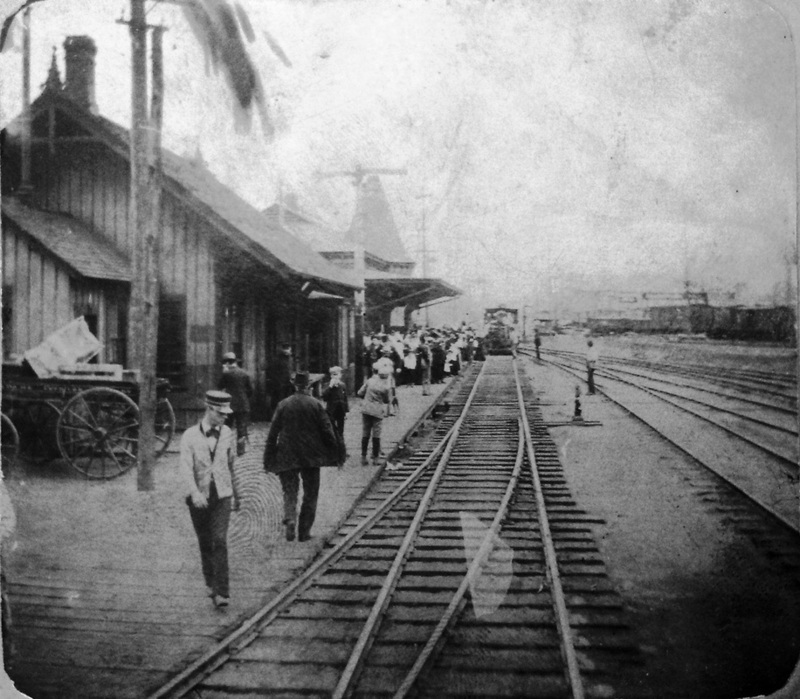 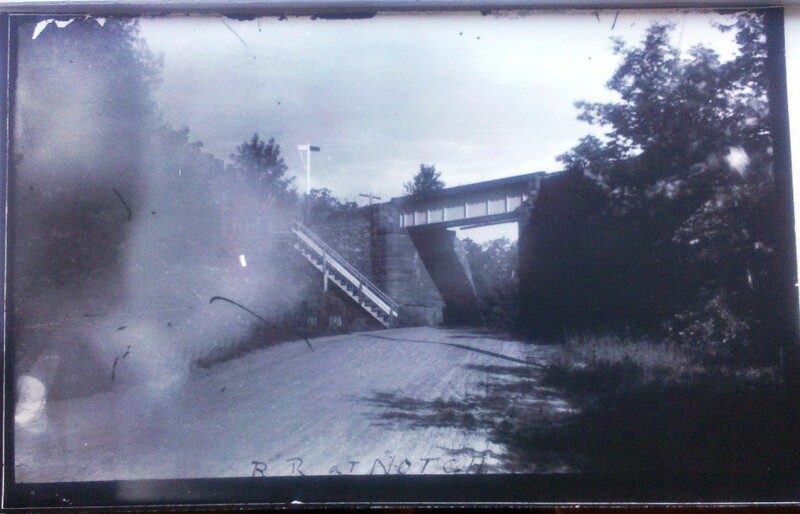 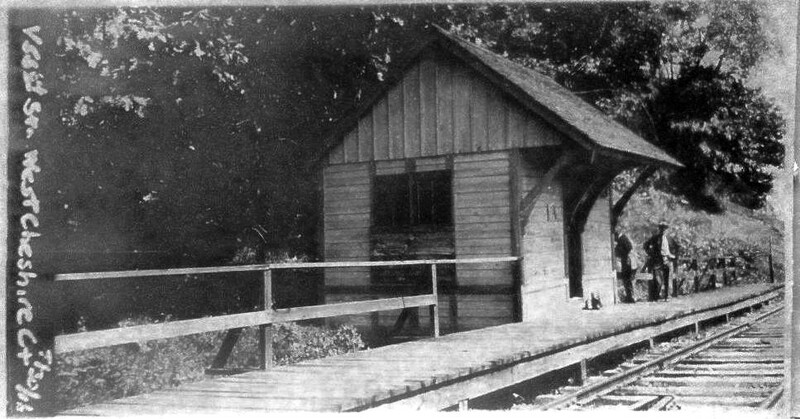 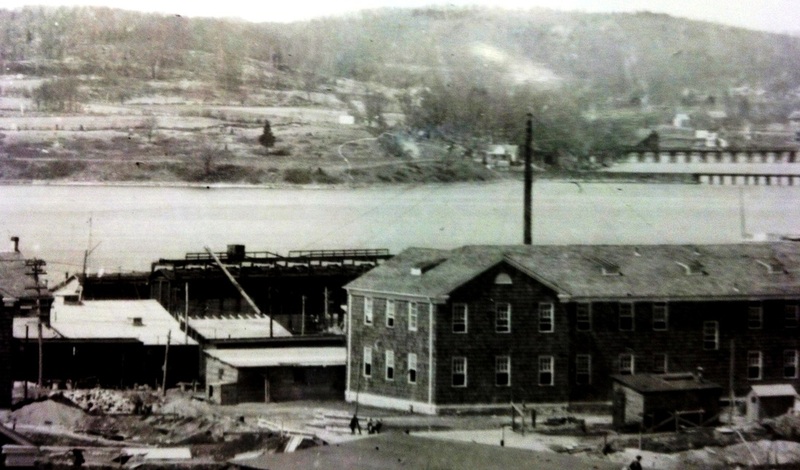 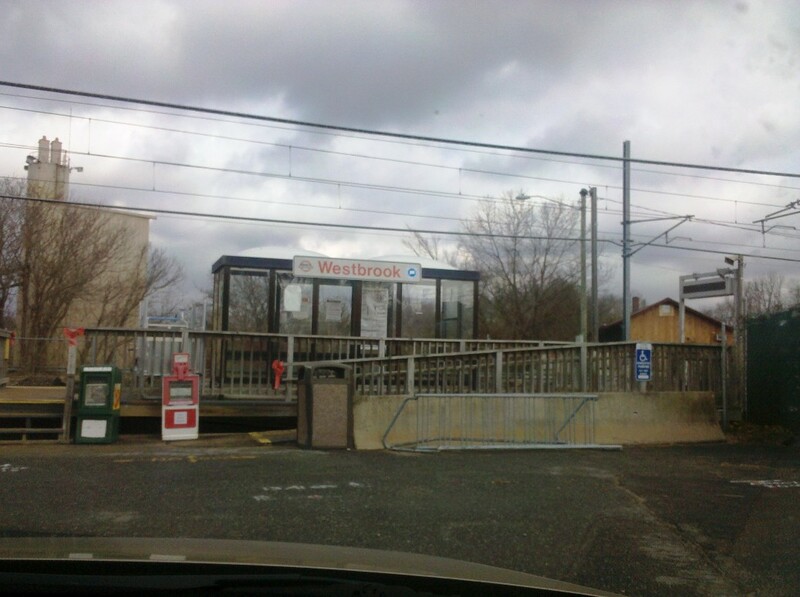 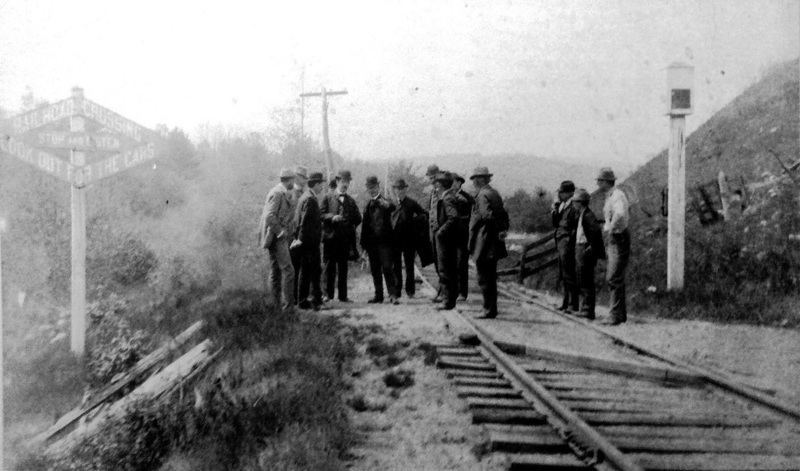 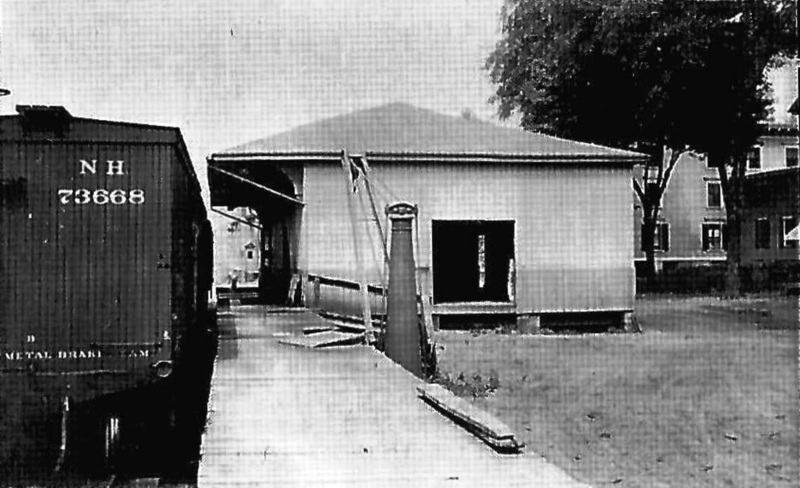 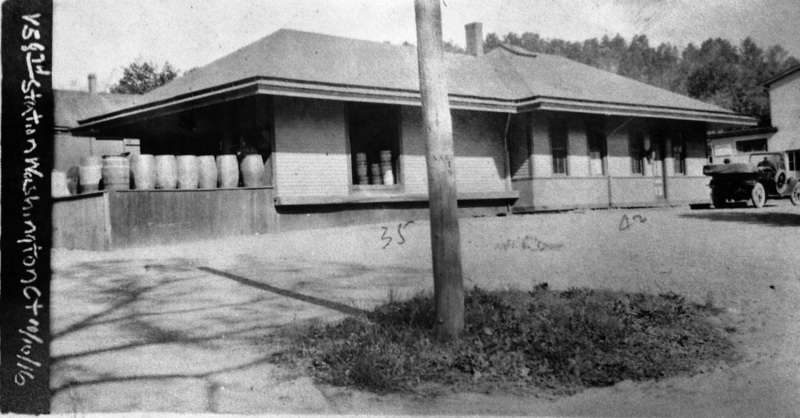 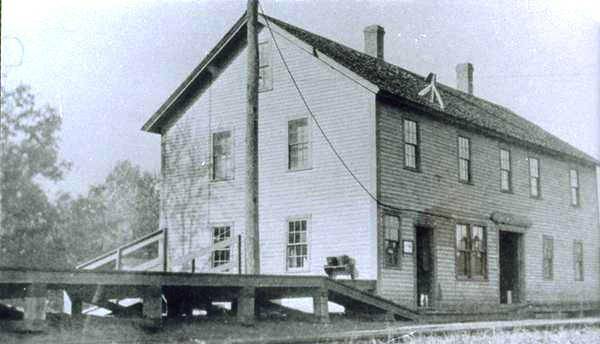 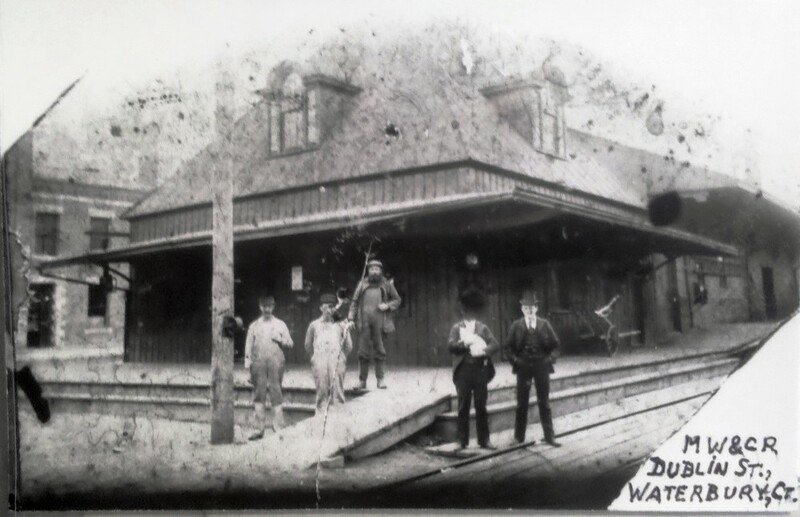 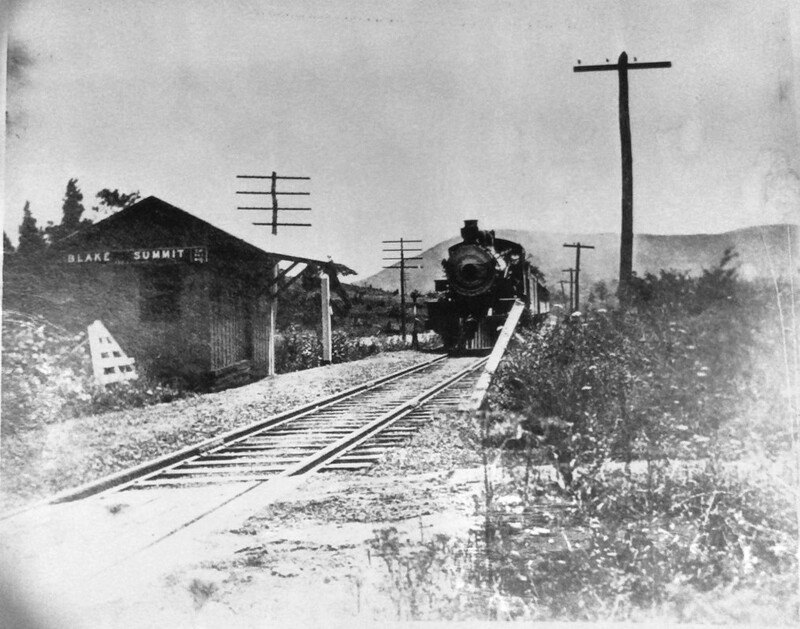 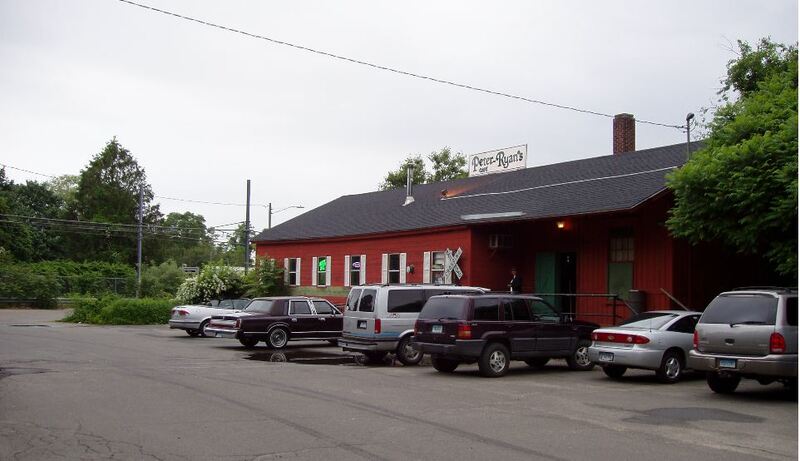 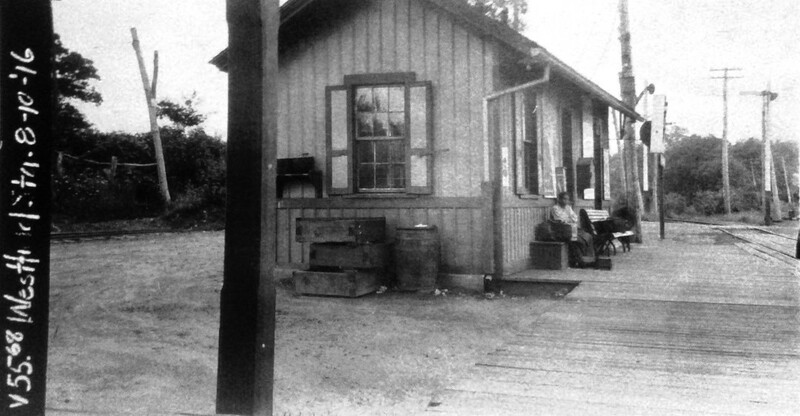 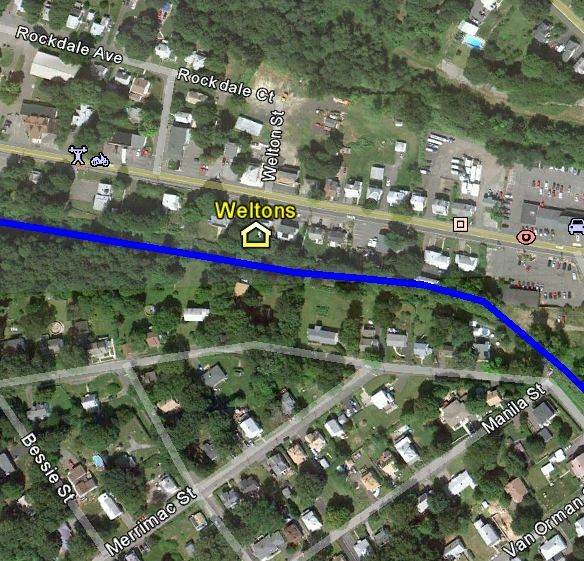 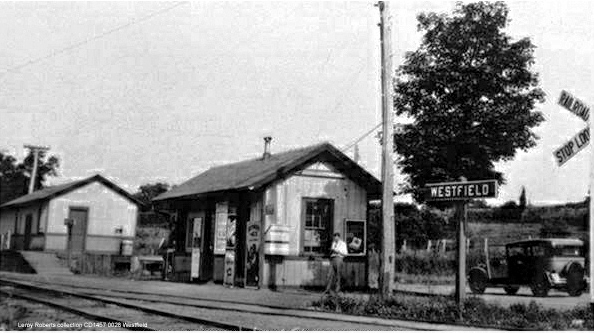 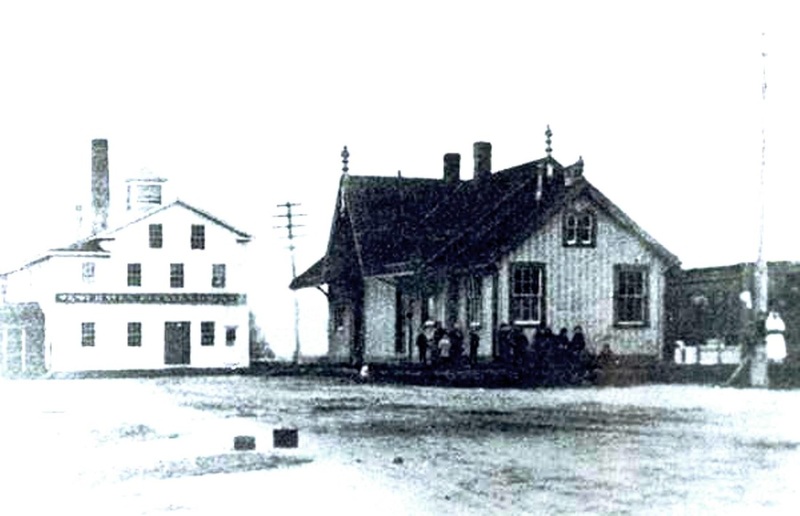 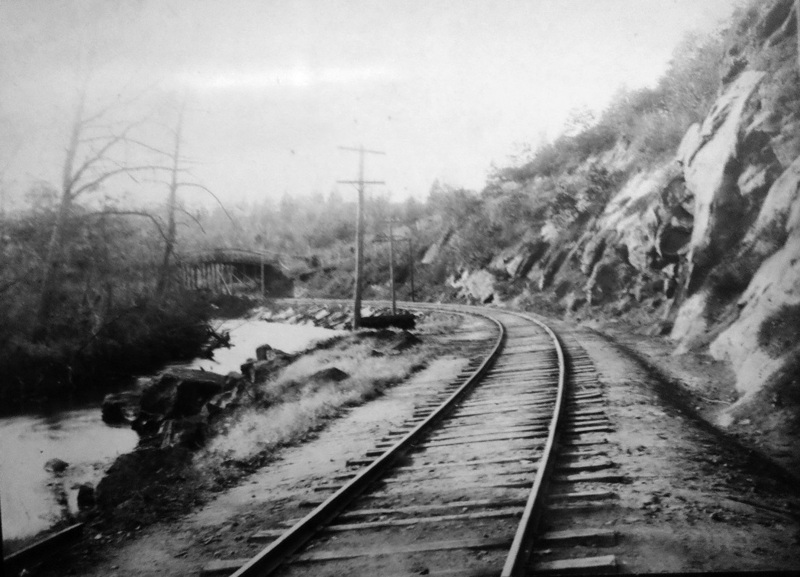 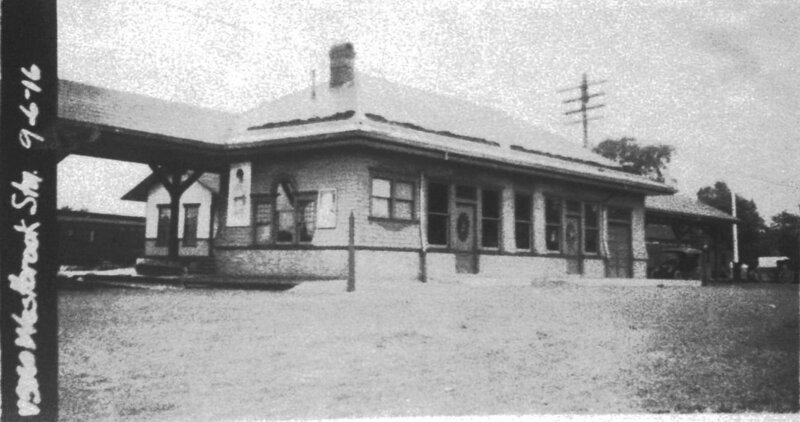 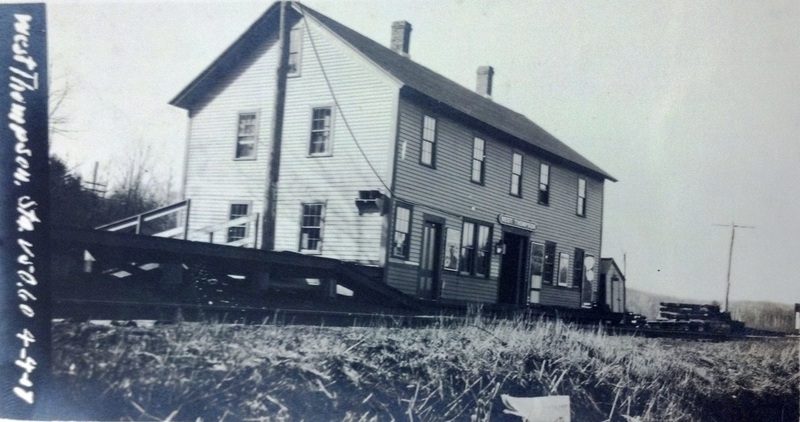 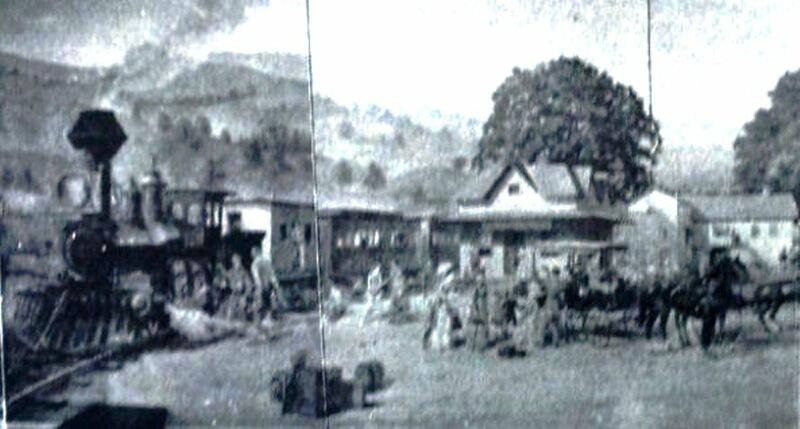 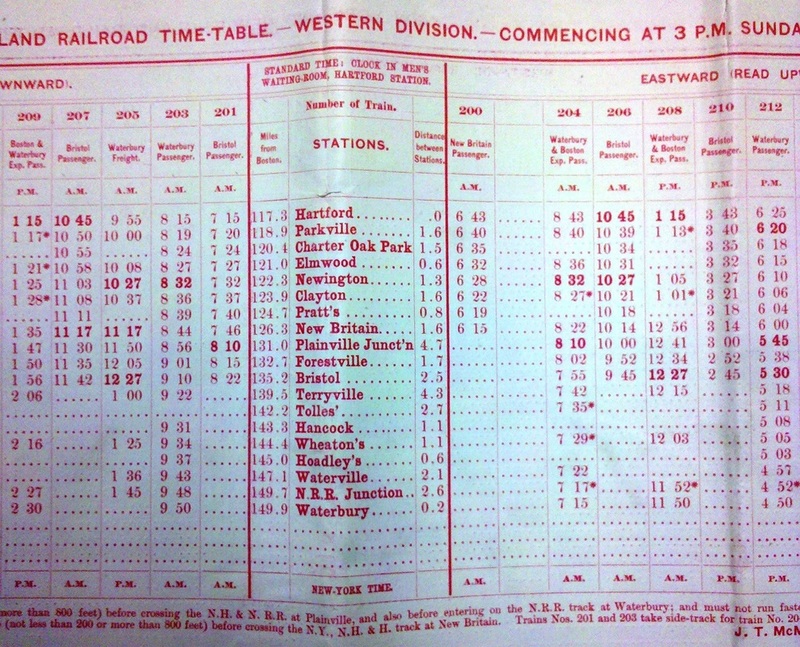 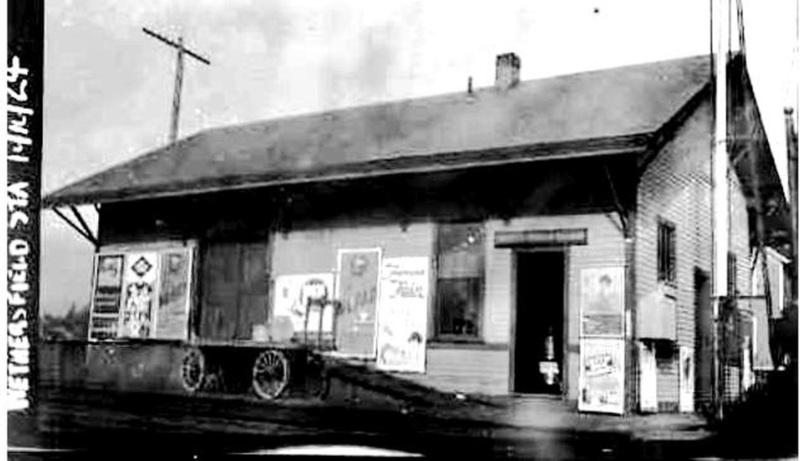 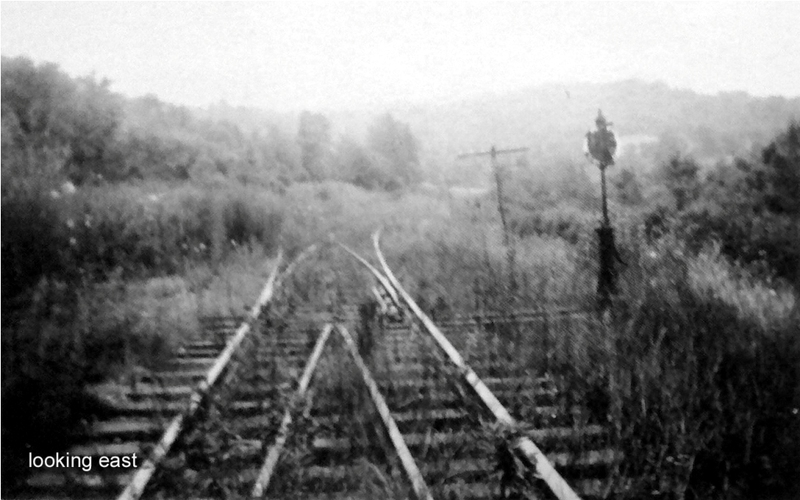 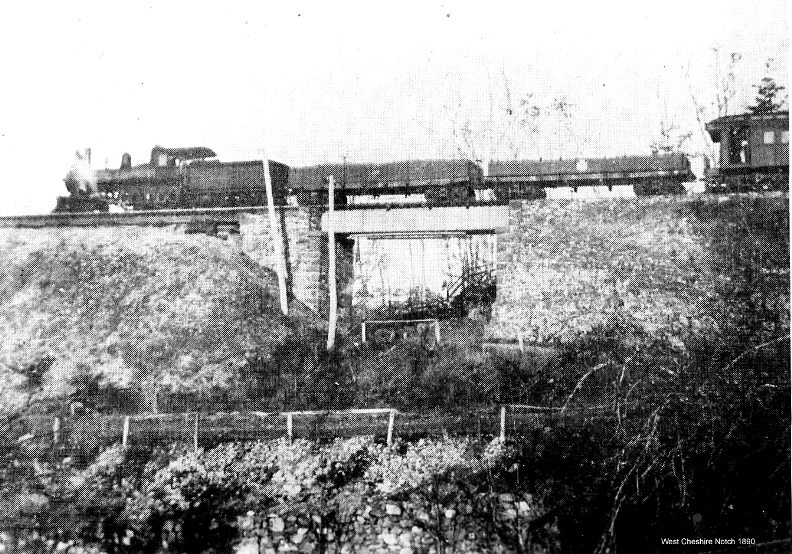 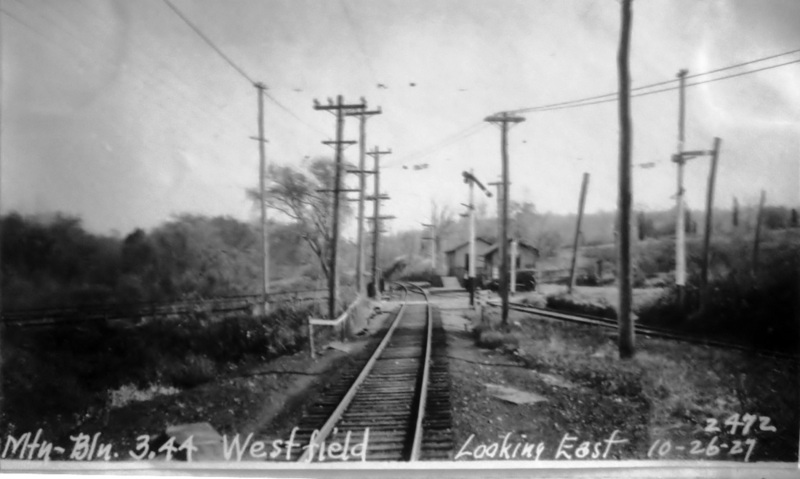 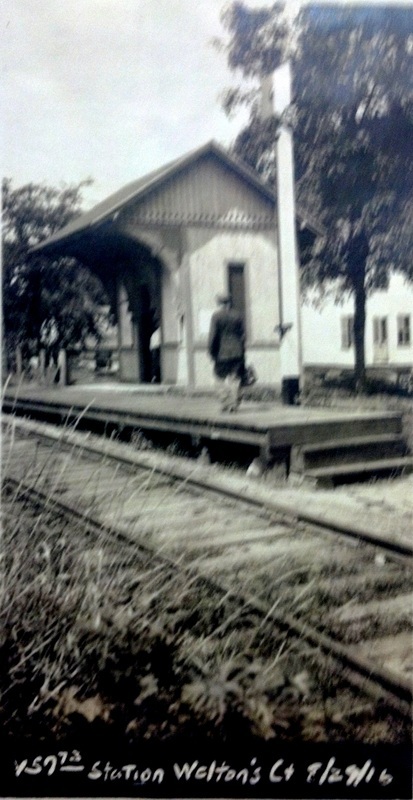 This stop was called WESTPORT AND SAUGATUCK in later days, perhaps to reflect the move to a location west of the river at this time.